These are the items that were included on the "Late Breaking Website News" page in 2013. Items are listed with the most recent one first, and each article carries the posting date indicating when it was first uploaded. You should find this an interesting look at the important Shroud and Website events in 2013. As you already know, the really big news is the recent announcement that the Shroud will go on public display in 2015! Since the announcement was made on December 4th, we have received hundreds of e-mails asking for more information about the exhibition. Unfortunately, there is very little new to report, although the original article I posted has been updated with links to several press conferences that were held in Italy (although they are all in Italian). We will report any further news in our next scheduled update on January 21, 2014, which also marks our 18th Anniversary online! As the above headline says, this is our final update of the year, so we want to take this opportunity to wish all of you a very Merry Christmas and a joyous and healthy New Year! And, so you have some reading materials over the holidays, we are including some important new information and articles that should keep you busy until our next update. Have a great holiday and we'll see you in January! 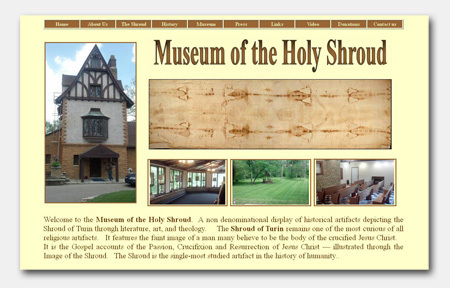 I am very happy to announce that the website for Richard Orareo's Museum of the Holy Shroud in Wabash, Indiana, is now available online. Although the museum itself has not yet held its official grand opening, the website will give you a very good idea of what to expect when it does open in the spring. For example, when you click on the "Museum" tab, you are able to view nearly one hundred high resolution photographs that I made of Richard's collection back in 1999 at the Richmond Conference. And you can zoom in on each for extremely close up views. Ken Watterson, Richard's webmaster, has also included some additional photographs that he made of newer items added more recently to the collection. And that is just one page! I think you will marvel at the truly amazing collection Richard has assembled over the past 45 years, and he's not finished yet! He just received a lifesize replica of the restored Shroud from the Archdiocese of Turin and is currently designing its display. I am sure it will quickly become the centerpiece of the Museum. Here is the latest information on the international Shroud Conference titled "Shroud of Turin: The Controversial Intersection of Faith and Science” that will be held in the fall of 2014 in St. Louis, Missouri, USA. The dates of the event have now been finalized as October 9-12, 2014. Co-sponsored by the Resurrection of the Shroud Foundation and Salt River Production Group, the conference will be held at the Drury Plaza Inn, 355 Chesterfield Center, Chesterfield, Missouri 63017, just west of St. Louis and less than 20 miles from Lambert - St. Louis International Airport. The organizing committee extended an invitation to Prof. Bruno Barberis, Director of the International Center of Sindonology in Turin, and he has accepted. 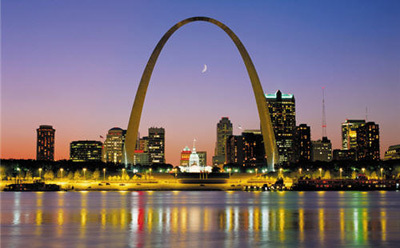 For more information you can now consult the St. Louis Conference 2014 website for details about the conference, the hotel, submissions, etc. The website is still under construction but by early 2014 you will be able to use it to register for the event online. 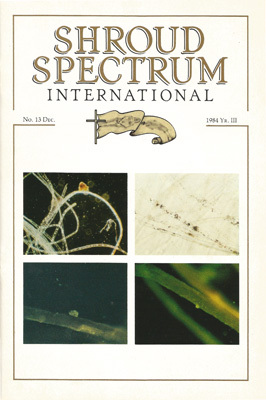 We are pleased to add two more issues to our ongoing archive of Shroud Spectrum International. In this update we have added Issues #13 & 14 and both include some really great articles. Worth noting is the article in Issue #13 titled, A Scientific Proposal for Studying the Shroud of Turin by seven STURP team members. In the world of Shroud publications, Spectrum was truly the benchmark of excellence. 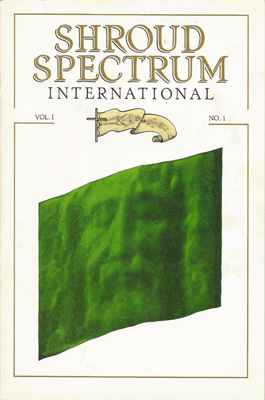 Published from 1981 to 1993 by Dorothy Crispino, Spectrum was the first and only peer reviewed journal dedicated solely to the study of the Shroud. Our thanks once again to Stephen E. Jones, BSTS Member living in Western Australia, who continues to do all the scanning and optical character recognition and Ian Wilson, who provides Stephen with the original issues and valuable input. We will continue to add more issues in each future update until the complete 42 issue collection is archived in its entirety here on this website. We hope to include issues #15 through #20 in our January update. A number of new papers have appeared over the past few months and we are including links to three of them in this update, along with a link to an older but important essay from 2000. Abstract: In this paper, a natural mechanism capable to explain the Shroud body image formation has been studied. The physical and chemical characteristics of the above image agree with a stochastic process triggered by a little quantity of energy that has yielded a latent image. This mechanism is the sole that can explain both the reversed color characteristic and the 3D reconstruction without distortion of the above image. Therefore, the other mechanisms (deterministic processes) must be rejected. 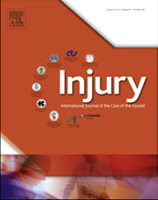 This paper can also be accessed via the Website Library and Scientific Papers & Articles pages of this site. Abstract: The present investigation is an attempt to explain the abrupt changes in the yellowed fibril density (or image intensity) values in the dorsal part of the Shroud of Turin body image. The interested areas are the ones at the base of the shoulders and the buttocks. These rapid changes in the body image intensity are not anomalies of the linen manufacture. They can be explained with the original presence of aromas and/or burial ointments. Abstract: Image processing of the Turin Shroud (TS) shows that the Man represented in it has undergone an under glenoidal dislocation of the humerus on the right side and lowering of the shoulder, and has a flattened hand and enophthalmos; conditions that have not been described before, despite several studies on the subject. These injuries indicate that the Man suffered a violent blunt trauma to the neck, chest and shoulder from behind, causing neuromuscular damage and lesions of the entire brachial plexus. The posture of the left claw-hand is indicative of an injury of the lower brachial plexus, as is the crossing of the hands on the pubis, not above the pubis as it would normally be, and are related to traction of the limbs as a result of the nailing to the patibulum. The disappearance of the thumbprints is because of entrainment of the flexor pollicis longus tendons while the nails were driven through the wrists. The blunt chest trauma, which resulted in the body falling forwards, was the direct cause of a lung contusion and haemothorax, confirmed by the post-mortem leakage of clots and serum from the chest caused by the stabbing with the spear, and was a likely cause of cardiac contusion. All the evidence is in favour of the hypothesis that the TS Man is Jesus of Nazareth. "As we discussed, as authentic a historical relic as all the evidence (historical, scientific, and scriptural) would indicate, there is still deep cynicism in the Evangelical (as well as my own Lutheran) family of churches for the most part in regard to it. It is for all the reasons you properly mentioned in your lecture today. "...The rather detailed scriptural approach here (appreciated by Evangelicals) may attract readers from that large group out there who may be somewhat dismissive of just the scientific or other aspects of these studies. This scriptural factor, which strongly supports in every detail the other, may hopefully open the door to more from that Evangelical persuasion to take the subject seriously, and help them be ready to read more deeply into the scientific and other topical presentations found on your web site as well. Perhaps then serving as something of a door opener for many in this group. "The essay, by the way, was also requested by the administrator of our WELS Lutheran church body's essay web site for posting because of the general interest in the subject that is out there. To my knowledge, this is the only Lutheran attempt at dealing with this topic in such depth, and has been well received by the brethren in the various presentations that have been made. "Once again, it was a privilege to meet you personally today. Blessings on your continuing good work, important to all who are interested in topics of this sort being dealt with openly, fairly and truthfully." This essay can also be accessed via the Website Library and Religion & Philosophy pages of this site. "...I have been Head of Science in a Catholic school in England for nearly 40 years, and frequently find myself at the cutting edge of the Science vs. Religion debate. I have been interested in the Shroud for most of my life, and began seriously researching and experimenting about a year ago, inspired by David Rolfe's organising of a BSTS meeting featuring the Art Historian Thomas de Wesselow. "I do not have a website of my own, but contribute frequently to shroudstory.com, and Shroud related threads on other sites. If I had to define my particular sphere of involvement, I wouldn't select an academic field such as History, Chemistry or Art, but rather the methodology underlying all of them; an insistence on primary sources, a tolerance of opposing opinions, and a clear explanation of whatever conclusions are drawn. I hope this will assist me in editing the BSTS newsletter..."
On November 6, 2013, I had the great pleasure of appearing on EWTN Live and discussing the Shroud of Turin with Fr. Joseph Mary Wolfe, EWTN Chaplain. Fr. Joseph was not only thoroughly prepared (with four pages of thoughtful questions) but was also genuinely enthusiastic about the subject matter and a truly gracious host. Frankly, it was one of the best interview programs I have ever particpated in and I want to personally thank Fr. Joseph, the producers, director, crew and staff for making my visit such a positive experience. You can view the entire 57 minute program on YouTube at this link: Barrie Schwortz on EWTN. We would like to thank those of you who have already contributed to STERA, Inc. this year for your gracious and generous support and remind those of you who have not yet contributed that you can quickly and safely make an online contribution using our Secure Contribution Form, which now also accepts PayPal. Of course, you can also make contributions by mail or telephone. All contributions to STERA, Inc., a 501(c)(3) non-profit organization, are tax deductible and any contributions received by December 31, 2013 can be deducted as a charitable contribution on your 2013 tax return. Remember that it is your support and contributions that allow Shroud.com to grow while keeping it free of any advertising. We hope you can help. And don't forget to visit our Facebook page during the holidays. We try to post something every week. On behalf of STERA, Inc. and its Board of Directors, we would like to take this opportunity to wish you and yours a very Merry Christmas and a joyous and healthy New Year! See you in January! The Centro Mexicano de Sindonologia (CMS) celebrated their 30th anniversary this year by sponsoring a conference titled “The Holy Shroud and the Year of Faith,” which took place on May 24-25 in Mexico City. You can read more about the event itself in the article we posted earlier this year. One of our dear friends (and one of the original founders of the CMS), is Dr. Julio López Morales, who has been a valued contributor to this website for many years and is responsible for many of the Spanish language pages, books and articles included on our site. In honor of the 30th anniversary of the CMS, Julio has written an exclusive article for us titled, "A History of the Centro Mexicano de Sindonologia (CMS)" or en español, "Historia del Centro Mexicano de Sindonología (CMS)," that charts the history and evolution of the organization in text and photographs and includes a special tribute to Sindonologists past and present. A special thanks to Julio's son, Julio López Rodriguez, for providing us with the English translation of his father's article. Muchas gracias mi amigos! Over the past few months a number of our viewers in Poland notified me that the Polish language translation we had on our Message From Your Host page had some serious problems. Apparently, we had been provided with an automatic online translation that mistook the term "host" to mean "Communion wafer" instead of the person hosting this website! Of course, I had no idea that was the case since I cannot read or write the language. Fortunately, two different viewers in Poland were each kind enough to do a more thorough (and correct) translation and provide it to us, so I am including both on the website! The first is by Michal Ginter and the second is by a gentleman who prefers to be simply called "O.K." Thank you both for your help and participation! Our next scheduled website update will go online on January 21, 2014 and will mark the Eighteenth Anniversary of Shroud.com! As regular website viewers know, the anniversary update is always one of the largest updates of the year and next year will be no exception. You can expect more issues of Shroud Spectrum International, the next issue of the BSTS Newsletter, several new papers and articles, links to more information and of course, any late news regarding the 2015 public exhibition. We hope your holidays are filled with love and family and look forward to seeing you in January! For several months rumors have been flying that the Shroud would be publiclly displayed again in 2015, even though the next officially scheduled public exhibition had originally been set for 2025 by Pope John Paul II. As of this morning, it is official! The Shroud will go on public display in the Cathedral of St. John the Baptist in Turin, for around 45 days between the Easter season (from mid-April 2015) to the closing celebrations of the bicentenary of the birth of St. John Bosco (August 16th, 2015). The official announcement that a 2015 public exhibition has been authorized by Pope Francis was made this morning by Archbishop of Turin Cesare Nosiglia and is detailed in an English language news release from the Centro Internazionale di Sindonologia titled Ostensione della Sindone 2015 (Holy Shroud Public Display 2015). You can also find the text of the Message From the Custodian on the Sindone.org Website. (Link no longer available). Specific dates have yet to be announced, but of course, we will keep you updated as soon as more information becomes available. I was in the midst of preparing our last update of the year (which was supposed to go online early next week), when this news was announced, so the update will be delayed by a few days. Watch for a larger update with more details sometime near the end of next week. However, as this is truly important news, I wanted to get it onto the website immediately. It is with the deepest regrets that I must report that my dear friend, Dr. Frederick Zugibe, renown medical examiner, expert on crucifixion and Shroud scholar, died Friday evening, September 6, 2013, after a long illness. Dr. Zugibe was well known to Shroud scholars around the world and highly respected by all, even those who might have disagreed with some of his conclusions. He was the author of two books, The Crucifixion of Jesus: A Forensic Inquiry and Dissecting Death: Secrets of a Medical Examiner and was considered a world authority on the effects of crucifixion on the human body. In the end, his work will speak for itself. Our sincerest condolences to his wife Catherine and the entire Zugibe family, along with all the many friends he had around the world. He will truly be missed. 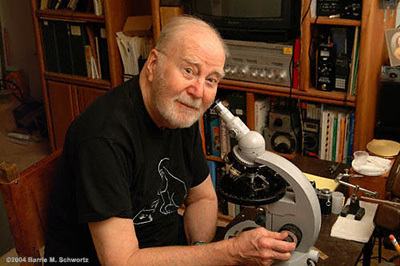 Dr. Frederick Zugibe, the founding Rockland medical examiner who modernized forensic pathology and gained international renown for his work on what some believe is the burial cloth of Jesus, died Friday night. Zugibe was 85. Zugibe, the father of several lawyers, business people and the current Rockland County district attorney, Thomas Zugibe, served 33 years as Rockland medical examiner, creating the office that handled 264 cases during his first year and more than 8,000 by the time he retired in 2002. After decades of living in Haverstraw, Zugibe and his wife Catherine spent time in Orange County before returning home several years ago to Garnerville, where he died. 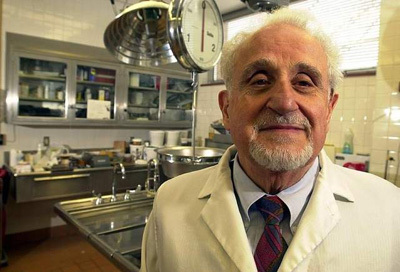 A funeral will be held Wednesday for Dr. Frederick Zugibe, a pioneer in forensic science who founded the Rockland County Medical Examiner’s Office. Visiting hours will be from 2 to 4 p.m. and 7 to 9 p.m. Monday and Tuesday at the George Holt Funeral Home, 50 New Main St. in Haverstraw. A funeral Mass is scheduled for 10 a.m. Wednesday at St. Peter’s Church in Haverstraw, with a private burial to follow. Zugibe, 85, a native of Haverstraw, served as the Rockland medical examiner from 1969 until his retirement in 2004, handling more than 8,000 cases. He is credited, among other things, with modernizing the office and for pioneering forensics techniques. A devout Catholic, Zugibe also gained international renown for his scientific research on the Shroud of Turin, the linen cloth revered by many Christians as the burial cloth of Jesus. Zugibe is survived by his wife of 62 years, Catherine; six children, including Rockland County District Attorney Thomas Zugibe; 18 grandchildren; and five great-grandchildren. 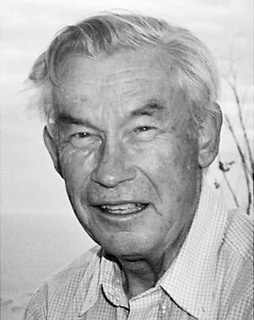 A son, Frederick T. Zugibe, died in 2006. In lieu of flowers, memorial donations are being requested for the United Hospice of Rockland, 11 Stokum Lane, New City, NY 10956. Sadly, I was away from my office and lecturing in North Carolina over the past four days, so I did not see the news of Fred's passing until I returned home on Sunday night. Since then, the internet has been flooded with letters of condolences from around the world. In honor of my friend, I am including here some of the tributes that we have received or have appeared online in the past few days. Rest in Peace my friend. 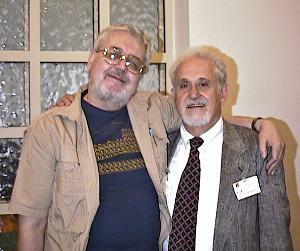 The last time I saw Fred was at the unveiling of the "restored" Shroud in September 2002. Along with most of the foreigners invited to that event, Fred thought it was a travesty. After a lengthy powerpoint presentation and then a few minutes to view the new-look Shroud, we assembled in front of the altar in the cathedral with Cardinal Poletto. 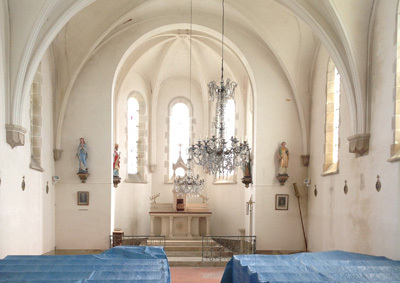 He asked us to express our views now that we had seen the great work the restorers had done. A couple of Italians praised the work, but to my utter surprise so did some of the foreign guests who had previously been critical. Then Fred spoke out, noting that it was bad that the restorers did not wear gloves. His boldness to criticize in the face of the flow of... verbiage may have encouraged Fr Pfeiffer to stand up and make a harsh criticism of the entire operation. I spoke with Fred on the phone in 2005 trying to persuade him to come to the Dallas conference, but he declined, perhaps beginning to feel the first effects of Alzheimers that I believe ultimately robbed him of his great intellect and memory. He was a nice guy, and had a very rich life. A great asset to the Shroud. He will be missed. (Dr. Zugibe) was well-respected in our Rockland County community. I taught one of his children and one of his grandchildren during my years teaching at North Rockland High School. His son Tom presently serves as Rockland County District Attorney. As a regular visitor to the Shroud website, I thank you for the information you present and all the updates throughout the year. Fred was very kind and he gave me useful information and material regarding the TS. He was a good teacher for me. May he be in a better life now! I am so sad to hear of Dr. Zugibe's passing. This is one man I so wanted to meet. We had him scheduled twice to visit us in Surrey, and both times there was serious sickness in the family preventing his attendance, you might recall. I'll never forget my shock when I phoned him after my husband's dissection as I was trying to focus on shroud work to get my mind off everything here, and he told me of his son's deadly dissection just weeks earlier. I couldn't believe it. His words to my husband were to get to church and start changing his life so that Jesus has a place in it. The loss of his own son was so devastating for him. I will pray for him, Barrie, and for the repose of his soul. He was a very special human being and of huge help to me when I needed specifics to have our spear crafted. For such a busy professional, I was surprised he would even take my phone call let alone spend the time he did to assist me. Thank you for letting me know so I can pray (for him). Requiescat In Pace, dear Doctor Zugibe! I also wish to send my condolences to Fred's family. He was a beautiful person and a sincere and productive Shroud scholar. Now he knows the truth about the Shroud—straight from the Source. Rest in peace, Fred. I remember the occasion at the Shroud conference at Villa Gualino when Al Adler (of Jewish descent) and Fred Zugibe (of Lebanese descent) – who were schoolmates in high school in Haverstraw, NY (north of NY City) – together performed the Haverstrraw High cheer to the delight of the conference. What solidarity of spirit and friendship! Our condolences to the Zugibe family. My condolences. Tomorrow I will celebrate the Holy Mass for the soul of our friend Dr. Zugibe. My condolences on his passing. He did much work on the Shroud & was honest in his assessment. Now, Dr. Zugibe most probably knows the complete truth about the Shroud… Rest in Peace! If you didn't look closely, you might have missed the subtle changes we made to our Home Page in this update. Take another look and you will find that the front page has been redesigned and the General and In-Depth Contents have now been listed side by side in two columns, making the page more compact and easier to use with less scrolling. Although it looks great on a computer screen, we also recognized that this could create some problems for those who view our pages on their smart phones or smaller screened tablets. To resolve the issue, we created special versions of our Home/Main Menu pages and optimized them for smart phones. These are now available in English and Spanish versions from appropriate links at the top of both our English and Spanish language Home pages. We hope this makes it easier for you to view our site from your mobile devices. You might also notice that you can now place your mouse over nearly every photo on this website and get a small pop-up window with the caption or title information for that image. In the past, this only worked on Internet Explorer browsers, but with a simple change in code, it now works on every browser, including Netscape, Firefox and Chrome. This also should benefit those vision impaired visitors who use a special reader to view our pages. My sincerest thanks to Andy Weiss and Ken Watterson for their helpful suggestions and generous assistance in making these changes. Now let's get on with the update, which is another big one! 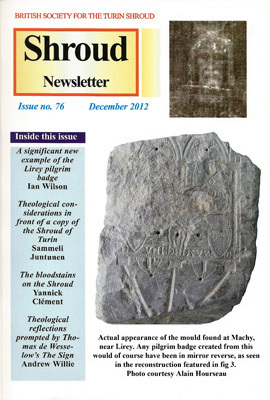 BSTS June 2013 Newsletter Issue No. 77 Now Online - Is this the final issue? Fifteen Points of Failure in the C-14 Dating - Worth Noting... Again! For 31 years the BSTS Newsletter has been one of the most important international publications in the Shroud world and we are very proud to make the entire archive available here on Shroud.com. Today's update includes the latest June 2013 Issue No. 77, but sadly, it could also be the last issue. Some months ago, Reggie Norton, BSTS Treasurer notified me that Mark Guscin, the newsletter editor since 2002, had to resign the position because he had taken on a new job that required considerable traveling, leaving him no time to continue editing the newsletter. Consequently, Ian Wilson, BSTS member and the first editor of the newsletter (from 1982 until 2001), graciously agreed to edit this current issue, which was already in progress. However, Ian is working on other projects and is unable to return to editing the newsletter full time. So unless a new editor is found, there may be no more print issues of the BSTS Newsletter. Make sure you read the articles in this issue by Reggie Norton ("The Challenge We Face"), Mark Guscin ("A Farewell" and "The Role of an Editor") and Ian Wilson ("The Society's Future - and the Future of this Newsletter). We sincerely hope the society finds a new editor so that this excellent publication can continue its important work well into the future. If you live in the U.K. and would like to participate, please contact Reggie Norton to join the BSTS and perhaps even contribute some new articles. Time is running out. Recently, Joe Marino sent me a scan of a paper he and Sue Benford received from Ray Rogers on September 11, 2001. When I reviewed it I realized that, although parts of the paper had been included in several other papers by Ray, as well as in his book, A Chemist's Perspective on the Shroud of Turin, nothing else Rogers wrote included all his observations and thoughts about image color in one dedicated article. So, with Joan Rogers' participation, we proof read and reformatted the paper and replaced the images with higher quality versions, and are making it available here on Shroud.com in an article titled, An Alternate Hypothesis for the Image Color. Our thanks to Joe for bringing this to our attention. We hope you find it useful. 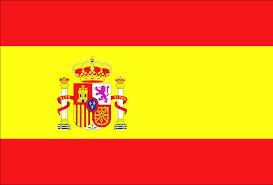 As regular viewers know, this website has included Spanish language translations to many pages and articles over the years, thanks to the scholars and researchers around the world who graciously volunteered their skills and services to provide them to us. Of course, thanks to our many good friends in Italy, we do have some articles in Italian, but only a very few articles are available in French. 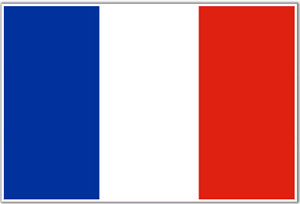 Now, thanks to our friend Michel Becher in Brittany, France, a retired teacher who graciously volunteered to translate some of the papers on our website into French, we will select important articles from our archives, Michel will translate them and we include them on the site. We are very pleased to present as Michel's first French language translation, Ray Rogers' 2004 Frequently Asked Questions (FAQ's) paper. The French title is Questions Fréquemment Posées (FAQ) (en français). Our thanks to Michel for his important contribution and we look forward to more articles in the future. 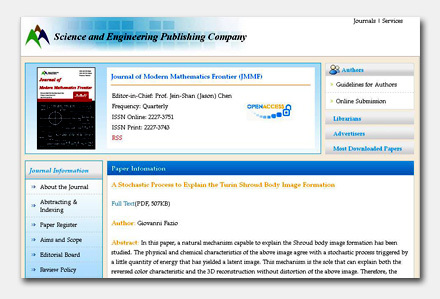 Of course, the translations will also be available via the Scientific Papers & Articles page and the Website Library. 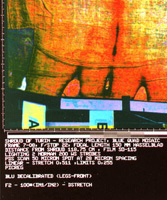 We are pleased to add three more issues to our ongoing archive of Shroud Spectrum International. In this update we have included Issues #10 & 11 & 12. 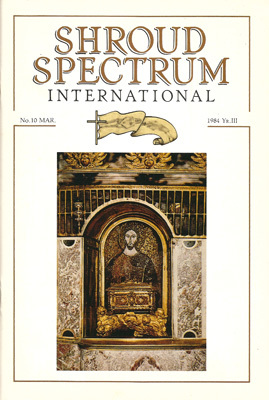 Published from 1981 to 1993 by Dorothy Crispino, Spectrum was the first and only peer reviewed journal dedicated solely to the study of the Shroud. Our thanks once again to Stephen E. Jones, BSTS Member living in Western Australia, who continues to do all the scanning and optical character recognition and Ian Wilson, who provides Stephen with the original issues and valuable input. We will continue to add more issues in each future update until the complete 42 issue collection is archived in its entirety here on this website. "I thought you’d like to know I’ve just returned from visiting my mother in Cavour. For a 97 year old, she’s doing just fine. These days she seems wrapped in her thoughts and hasn’t much to say, but she brightens up when anything to do with the Shroud is mentioned." We truly appreciate Anthony keeping us posted on Dorothy's condition and hope she understands how well repected and loved she is by everyone in the world of the Shroud. One of the greatest things about archiving these back issues is that I get to read the articles again as I prepare them for publication. There are some truly amazing articles in these latest issues and I urge you all to read them when you have the time. Also note that the illustrations and photo reproductions from each issue are carefully scanned and optimized for the pdf format we use for publication, so you should find them quite useful in your studies of the Shroud. 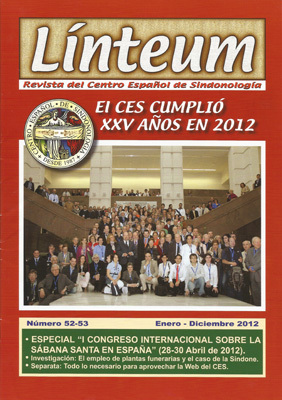 In case you are not aware of it, the Centro Español de Sindonologia (CES), the preeminent Shroud organization in Spain, publishes a beautiful, full color, large size Spanish language journal called Linteum (En Español). Pictured above is their special January - December 2012 issue commemorating the 25th anniversary of the CES. 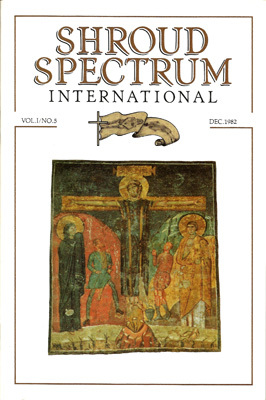 The issue features an in-depth article by CES member Andrés Brito covering last year's 1st International Congress on the Shroud in Spain (aka the Valencia Conference). It is overflowing with many color photographs of the event along with photos and biographies of all the speakers. It is followed by a reprint of the excellent paper presented in Valencia by Marzia Boi titled The Ethno-Cultural Significance of the Use of Plants in Ancient Funerary Rituals and its Possible Implications in the Case of Pollen of the Shroud (En Español) As a professional photographer used to seeing his photographs reproduced in print, I am truly impressed by the beautiful, high quality reproductions in Linteum. This issue also includes a full color tutorial on using the Linteum website, an additional feature article called "The Congress in Images" with another one hundred photographs from the Valencia event and much more. Even if you don't read Spanish, the photographs alone would make it worth adding this excellent journal to your library. Many back issues are available from the Linteum Page of the CES website. A great friend of the Shroud has left us: Ilona Farkas. Born in Budapest, Hungary, she was the only daughter of Baron Farkas, a physicist who introduced radiotherapy in the oncological hospital in Budapest. She also worked as a scientific photographer in this hospital and graduated from the Academy of Music in Budapest, as an opera singer. After the murder of her fiance, Count Brunswick, by the Nazis, Ilona never married. The family villa was destroyed by bombing during the Second World War and the Communists deported her, along with her parents, to a concentration camp for two years. 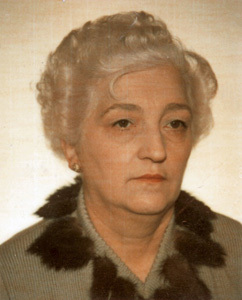 After the failed (Hungarian) uprising of 1956, drowned in blood by the Soviets, Ilona managed to get a permit to come and study in Italy. When she arrived, she asked for political asylum. In Italy she worked as a journalist for Radio Europa Libera (Radio Free Europe) and as an administrator for the Center of Sindonology of Rome. She next worked for the Publishing House Giovinezza, which published the magazine Collegamento pro Fidelitate. She then founded, for the same publishing house, the Shroud magazine Collegamento pro Sindone. In 2000 she decided to close the printed magazine, whose production had become too burdensome, and to post articles exclusively on the Internet. In 2003, on her 80th birthday, Ilona realized that her strength was decreasing and she could not continue to work. She therefore retired from active life. An intelligent woman and very private, she kept to the end her lucidity and her love for the Holy Shroud and of course, for music. She was interested in all the news on the studies and research relating to the precious relic and loved to follow the concerts, operas and ballets on TV. She died peacefully in her sleep at the age of 90 years old on June 21, 2013. We entrust Ilona to the Lord, accompanying her with our prayers. We will remember her with great love and nostalgia. Our good friend David Rolfe, BAFTA award winning British filmmaker, Shroud scholar and director of the first ever Shroud documentary, 1977's The Silent Witness, has created a new feature film project called The Shroud Affair. With the script completed and the project ready for development, David launched an online crowd funding campaign on August 9, 2013 on the Indiegogo website to raise the funds necessary to take the project to the next level. You can find out more information about the film, view a trailer and make a contribution to the project on the Indiegogo website at this link: The Shroud Affair. David has included a number of items from our Website Store page as gifts for those who make contributions to his project, so STERA, Inc. will also benefit from the campaign. By the time you read this, David's campaign will be three weeks old, so check for his latest updates and progress reports at this link: The Shroud Affair Updates. David has also graciously placed links to all three of his Shroud films (The Silent Witness, Material Evidence - The Shroud of Turin and The Case for the Shroud of Turin) online where you can watch them for free during the entire course of the crowd funding campaign. "David Rolfe's original film The Silent Witness and its associated publicity made a big impact back in the 70's and I find the evidence based on the development of iconography developed by Ian Wilson that links the Shroud with the Edessa image and expounded in that film persuasive. At the same time, a close look at the single C14 test performed in 1988 seems to leave some loose ends. This might be easier to put aside if anyone had been able to come up with an explanation for the image which, so far, has not been forthcoming. So, I welcome David Rolfe's initiative and share with him the hope that at some point a properly structured scientific examination might try again to address the Shroud's secrets. In any event, it would be pleasing to find a way for cinema-goers to become acquainted with a story that, thanks to that single C14 test, is fast becoming forgotten." In response, David Rolfe stated: "For a long time the few of us trying to reconcile the conflict between the mass of data that supports the genuine antiquity of the Shroud and the single C14 test that has swept it away have felt as if we have been crying in the wilderness. To have Dr. Williams' public endorsement and practical support for The Shroud Affair campaign and what it represents is a significant step forward." Here is a link to the August 31, 2013 Shroud Affair Press Release: Rowan Williams and The Shroud Affair. 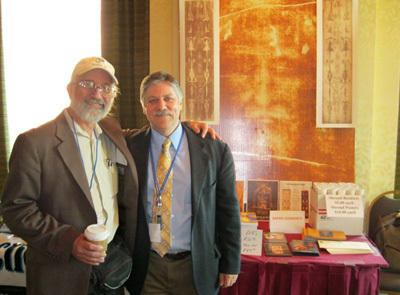 There will be an international Shroud Conference titled "Shroud of Turin: The Controversial Intersection of Faith and Science” in fall 2014 in St. Louis, Missouri, USA. Due to scheduling issues with several potential speakers, the exact date has not been picked, but it likely will be September 18-21, September 25-28, or one of the weekends (Thursday through Sunday) in October. The date is expected to be selected very soon. The conference is being co-sponsored by Resurrection of the Shroud Foundation and Salt River Production Group. Subject matter for the papers is open to any major aspect of sindonology, eg., Science, History, Art, Theology and can also include other relevant artifacts such as the Sudarium of Oviedo, Manoppello Cloth and the Tilma of Guadalupe. Abstracts should be submitted electronically to Joe Marino no later than 15 March 2014. If for some reason the abstract can't be sent electronically, please send to Joe Marino / 2408 Sovron Ct. / Dublin, Ohio 43016 / USA. Authors will be limited to a maximum of 2 (two) papers as primary or secondary author. Abstracts will be sent to selected reviewers, who will not be informed of the identity of the author. Authors will also be required to send vitaes. English will be the official language of the conference. Abstracts are to be submitted and papers are to be read in English. Many new and exciting papers are expected to be presented. It is hoped that the conference will draw numerous established sindonologists, as well as many new ones. 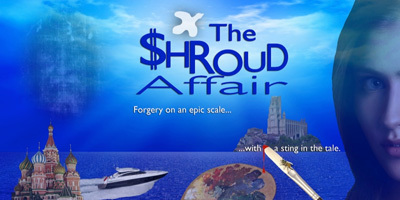 As more details become known, they will be disseminated via www.shroud.com and www.shroudstory.com. On June 26 through July 2, 2013, the conference titled, "Third Encounter of the Two Linens," sponsored by the Ateneo Pontificio Regina Apostolorum (Pontifical University) in Rome, Othonia and Pilgrim Queen of the Family, was held at the Notre Dame Center of Jerusalem in Israel. Originally scheduled to take place from November 25 to December 1, 2012, the conference was postponed due to the political situation at the time. The conference dealt specifically with the Shroud of Turin and the Tilma Cloak of Tepeyac (aka Our Lady of Guadalupe) and was designed to allow dialogue between those who have scientifically studied the Shroud and those who study the Tilma. The Encounter consisted of presentations by experts and round table discussions. Among those who participated were Prof. Adolfo Orozco, Arturo Rocha and Dr. Jose Aste Tonsmann from Mexico, Prof. Bruno Barberis, Nello Balossino, Paolo Di Lazzaro, Prof. Costantino Sigismondi, Fr. 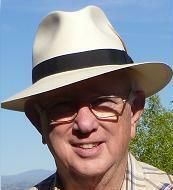 Hector Guerra, Fr. Rafael Pascual and Fr. Gianfranco Berbenni (via Skype) from Italy, Dr. Alfonso Sanchez Hermosilla from Spain, Dr. John and Rebecca Jackson and Barrie Schwortz from the USA and Dr. Petrus Soons from Panama. The purpose of the invitation-only conference was to allow the experts to share their respective knowledge and experience regarding both cloths. The group ultimately discussed and agreed upon some basic recommendations for future conservation and preservation of the Tilma and as well as possible future scientific research. The recommendations are being drafted into a formal written document which will be presented to the authorities in Mexico for their evaluation and consideration. I have to add that the spirit of cooperation, respect and friendship within the group was wonderful and resulted in a very productive meeting. When the work was completed, we were treated to tours of many important and beautiful sites in Israel, thanks to Fr. Hector Guerra and Fr. Rafael Pascual, our gracious hosts. Everyone truly had a great time! It was also great to see our old friend Fr. Eamon Kelly again. He is the Vice Chargé of the beautiful Jerusalem Center and one of his responsibilities is the permanent Shroud of Turin exhibit on display there. One final note: The name of the conference itself created some heated discussion on the blogs when we first announced it in January, since it is well known that the Tilma of Guadalupe is not made of linen. The problem arose from the English translation of the original Spanish title Encuentro II Lienzos. Apparently, in this context, the word lienzos should more accurately be translated as "cloths" rather than "linens" (but I have to admit that linens sounds better). Of course, this is simply the name of a conference and not a scientific statement. We are pleased to announce that the Valencia Congress page has been updated to include four more excellent papers from the April 2012 event. The first two papers were presented at the Congress itself and are available in both English and Spanish. The second two were part of a small group of papers (in English only) inserted into the proceedings afterwards by the organizers, who decided to accept some papers even if they were not presented at the Conference. The first paper is by our good friend and CES member Dr. Alfonso Sánchez Hermosilla, who I had the pleasure of spending some quality time with in Jerusalem recently. The paper is titled The Oviedo Sudarium and the Turin Shroud (En Español) and provides an excellent forensic comparison of the two cloths. The second paper is by our dear friend and CES member César Barta and is titled What the Shroud is and What it is Not (En Español) and recaps the results of his 24 years of Shroud research. The next two papers were not presented at the conference but included in the proceedings by the organizers, so I have included links to them at the bottom of the Valencia Conference page. The first is a superb paper by Ada Grossi titled Jewish Shrouds and Funerary Customs: a Comparison with the Shroud of Turin and provides a very detailed study of Jewish burial customs and the Shroud. The second is an excellent paper by Alessandro Piana titled Othon de La Roche, Geoffroi I de Charny and the “Missing Years” of the Holy Shroud, which attempts to add "one more piece in the puzzle of the history of the Shroud." On July 26, 27 and 28, 2013, Russ Breault (member of STERA, Inc.'s Board of Directors) and I attended and spoke about the Shroud at a Prophecy in The News Conference held in Colorado Springs. Also in attendance were our dear friends David Onysko, noted Shroud scholar and lecturer from Ohio, and John and Rebecca Jackson of the Turin Shroud Center of Colorado, who also participated in the question and answer period after my lecture. Frankly, I was initially a bit apprehensive about attending and speaking at this conference, since my somewhat limited personal experience with Evangelical Christians was that they usually had little if any interest in the Shroud and were often skeptical of its authenticity. Ironically, when I first announced I would be attending and speaking at the conference, I quickly received some rather harsh criticism on the Shroud blogs from the pro-Shroud folks! That was followed immediately by a very long and stinging public attack on me from the ultra-conservative Evangelical folks. Truthfully, this only added to my apprehension and neither criticism helped to bolster my confidence about the event. On the other hand, I have learned over the years that if I am attacked by both sides of an issue, I must be doing something right! Well, I am happy to report that all the critics (and even my own attitude) were completely wrong! (Read more in the article Prophecy in the News). The Holy Shroud - Why We Believe Fr. Louis-Marie Navaratne, O.S.B. "Fr. Louis-Marie does present a variety of scholarly thinking on the Shroud and, in so doing, he skillfully provides reasons... nay, an invitation to the readers to think for themselves about what the Shroud represents intellectually as well as spiritually for their own faith journeys. 'The Holy Shroud – Why We Believe' is one of the most complete and most gentle books ever written on the Shroud and, in our estimation, a jewel fronting the perpetuation of the global Shroud revival in the third millennium of Christ." Last year we announced the Polish language edition of this book by my good friends Grzegorz Gorny and Janusz Rosikon in Warsaw, Poland. 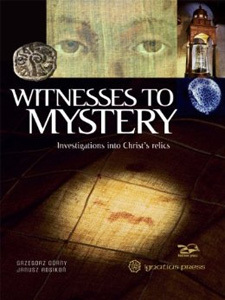 Today, we are very pleased to announce that the book, titled Witnesses to Mystery - Investigations Into Christ's Relics, will soon be available in English (on December 1, 2013) from Amazon. It is a large format, lavishly illustrated, beautifully reproduced coffee table book and the entire first chapter deals with the Shroud of Turin. The book includes many beautifully reproduced photographs from the STERA, Inc. archives and later chapters go on to examine and investigate many other relics, including the Sudarium of Oviedo, the Tunic of Argenteuil, and the Manopello. In fact, the authors spent several years researching, writing and traveling across Europe to make the photographs for the book. Grzegorz Gorny is a well known Polish author and journalist and the book is illustrated with professional photographer Janusz Rosikon's beautiful color photographs and is a truly worthwhile addition to any collection. In addition to the above books, we have added another six titles to the booklist page, thanks as always to our dear friend Emanuela Marinelli, who continues to contribute new titles as they become available. You can quickly find the new titles by searching the booklist page using today's date, 31 August 2013. (Each new title in today's update is noted with the following phrase: Added 31 August 2013). Thanks to our dear friend and frequent contributor Jose L. Fernandez, Associate Professor at the Madrid Technical University, we have some new details about the traveling Shroud exhibit in Spain called La Sábana Santa (The Holy Shroud). (Link no longer available). Started last year with an exhibition in Malaga, the exhibit is currently on display in Oviedo, the city most well known as the home of the Sudarium. The exhibit opened on 6 July 2013 and will run until 5 September 2013. 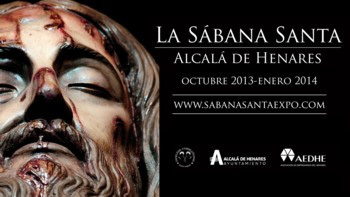 The next exhibition will take place from 1 October 2013 to 12 January 2014, in Alcala de Henares, a very beautiful city with an old University near Madrid. It will be held in the Cistercian convent of Bernardine, between the Regional Archaeological Museum and the Archbishop's Palace. As it states on the exhibit website (in Spanish): "This exhibition explores the only two objects that have passed scientific tests, which have come down to us as elements that might belong to Jesus of Nazareth: The Holy Shroud of Oviedo and the Shroud (of Turin)." 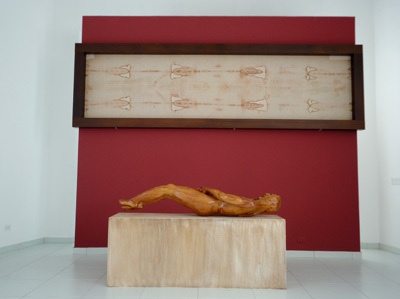 The exhibition takes the viewer on a historical journey and provides an analysis that brings together different elements to verify that the Shroud already existed well before the claimed results of the 1988 carbon-14 dating, which dated the cloth between the thirteenth and fourteenth centuries. It also includes a copy of the Shroud preserved in Torres de la Alameda. The exhibit consists of two rooms, one detailing the forensic and the other the scientific studies undertaken by experts over the years. It even includes 3D technology that reveals aspects of the possible carrier of the Shroud (Jesus of Nazareth). Francesca Saracino's The Night of the Holy Shroud documentary made its premiere in Russia on August 14 on TV Channel Doc24. This link is to a short trailer (in Russian) for the program. An interesting paper if you want to understand more about radiocarbon dating is C. Bronk Ramsey's 2008 paper titled Radiocarbon Dating: Revolutions in Understanding, published in Archaeometry 50, (2008) 249–275. 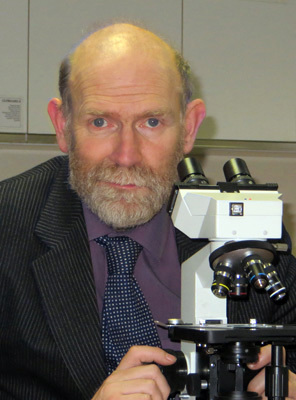 Dr. Ramsey is the current director of the Oxford Radiocarbon Dating Laboratory in England, one of the three labs that participated in the dating of the Shroud in 1988. Our thanks to our good friend Paolo Di Lazzaro for bringing this paper to our attention. 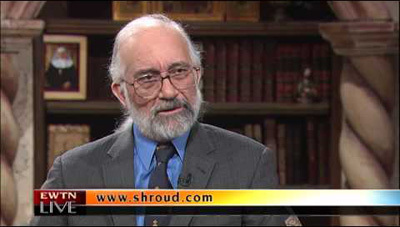 Alex Fiato, long time Shroud scholar and lecturer in Ft. Wayne, Indiana, sponsors the Miracles of Mary website. (Site no longer available). He also sponsors Dave Franke's Miracles of Mary radio program that has featured many interviews with prominent Shroud researchers over the past few years, including John and Rebecca Jackson, Kevin Moran, Richard Orareo, Diana Fulbright, Pete Schumacher and Barrie Schwortz. 15. Rejection, absolutely uncommon, of the publication of the statistical expertise of this operation, officially entrusted to professor Bray of “G. Colonnetti” Institute of Turin (requested also with insistence in its official statement by the Scientific Committee which prepared the Symposium in Paris in 1989). Bourcier de Carbon concludes: “Such a remark of deficiencies remains completely unusual in the context of a truly scientific debate, and one can only deplore this exception to the usual ethics." As many of you already know, Ariel Agemian (1904-1963) was a prolific Catholic painter whose religious artworks included over five hundred illustrations created for the Confraternity of the Precious Blood in Brooklyn, New York. His most famous work is his beautiful painting of Jesus based on the Shroud (© Annig Agemian-Raley) that has truly become iconic, particularly to those who study or venerate the Shroud. Over the past few years, I have been fortunate to get to know Annig Agemian-Raley, the artist's daughter, who also happens to live here in Colorado. During that time, Annig has generously provided us with articles and links about her father, and today's update is no exception. Once again, thanks to Annig and to Ron Lawson of The Latin Mass Magazine: The Journal of Catholic Culture and Tradition, we have been given permission to reprint their recent article titled, From Dark to Light - The Life and Art of Ariel Agemian by Gwyneth Holston. Our thanks to Annig and Ron for making this article available to us. Annig also provided us with a link to another article from The Tablet, titled Portrait of an Artist as a Young Man in Brooklyn. You can also see much more of the artist's work at Annig's website honoring her father: Ariel Agemian Paintings. Several months ago I was contacted by Dr. Allen Wai Jang, a professional educator and a docent at the Shroud Center of Southern California for the past five years. Dr. Jang and his wife were about to make a European trip and wanted to visit some Shroud related places while there, so he wrote me for suggestions and promised to share some of his observations and photos with us. The result is an interesting article titled, Introducing... Lirey, France!, which we are very pleased to include in today's update. It provides us with some excellent new photographs of the Collegiate Church of St. Mary, which figures prominently in the Shroud's history. But perhaps even more valuable are his closing observations on the relationship between the tiny village of Lirey and the large city of Troyes and the D'Arcy Memorandum. Dr. Jang's background is also very interesting. He was raised as a Buddhist/Taoist, but after attending Pepperdine University became a Christian. He retired from teaching biology in the public schools but continues to teach at Maranatha High School in Pasadena, CA. He says he was originally a skeptic until, "I had a chance to visit the (Shroud) museum and heard a presentation by a Ph.D. physicist who supported the Shroud." Our thanks to Dr. Jang for sharing his photographs and observations with us! We are very happy to announce that we have added PayPal as an additional payment method on our Secure Contribution Form, so you can now safely use your PayPal account to make online contributions to STERA, Inc. At this time, we are testing this only on our Secure Contribution Form, but are considering adding PayPal to the Secure Order Form on our Website Store page in the future, depending on viewer response. Just go to the Secure Contribution Form and click on the "Donate" button to make a contribution using your PayPal account. Of course, you can continue to use your credit or debit cards or even make contributions by phone or postal mail. See the form for details. This year my lecture schedule extends into the winter months, which is always a bit risky because of the weather here in Colorado. However, in spite of the risks, I will be traveling to a number of cities here in the U.S. between now and the end of the year. Here is a brief schedule of dates and events. If you are located in one of these cities, please come by and say hello! September 6 & 7, 2013 - St. John's Coptic Church of Chapel Hill in Raleigh-Durham, NC - Organized by church member Joseph Ibrahim, my first presentation is at 7:00 - 9:00pm on Friday, September 6th and the topic will be "35 Years of Shroud Science: A Personal Perspective." On Saturday, September 7th, I make two presentations. The first is at 11:00am - 1:00pm and the topic is "So What Do We Know For Sure About The Shroud of Turin?" At 3:00 - 5:00pm my second lecture will be a repeat of my Friday evening lecture with an extended Q&A afterwards. November 4 - 7, 2013 - Savannah Legatus Chapter - Savannah, GA and Birmingham Legatus Chapter - Birmingham, AL - Organized by my dear friend Gen. John Roth, I will speak at two Legatus chapter meetings and, while in Birmingham, be interviewed on EWTN. My only public lecture is on November 4th at 7:00pm in the lower chapel of the Cathedral of Saint John the Baptist, 222 E. Harris Street, Savannah, Georgia. Attendees are being asked to enter through the side entrance on Harris Street. I will also give lectures at two local high schools. November 16, 2013 - Good News For Israel - Minneapolis, MN - Organized by Rev. Chris Heeb. I am speaking from 1:00pm to 3:00pm on November 16th at Emmaus Church, 8443 2nd Avenue South, Bloomington, MN. Admission is free but space is limited so register online for tickets at the Good News For Israel website. In addition to my lectures, I am also including a brief schedule for the upcoming Shroud Encounter lectures of Russ Breault, member of STERA, Inc.'s Board of Directors, a great lecturer and a dear friend. Contact Russ by e-mail for more information. There will be at least one more update before the end of the year, probably just before the holidays (unless important news breaks before then). However, the next major update will go online on January 21, 2014 and mark our 18th Anniversary on the internet. In the interim, you can always check our Facebook page (which we try to update weekly) for the latest information or you can Join Our Mailing List to receive an e-mail whenever the website is updated. Subscribers will also get to preview content and receive exclusive offers never made available to regular website viewers. Without doubt, the Shroud received more media coverage in the past few months than anytime since its last public exhibition in 2010. With the election of a new Pope, the television exposition of the Shroud itself, a new Shroud app and a controversial new book all happening around Easter time, it was a "perfect storm" of events that led to massive (and rare) international media coverage of the Shroud, and almost all of it in a positive light. It also meant that a lot of activity was occurring in the world of the Shroud and our job is to archive it and report it to you. And that is why this update is such a large one. We have done our best to cover everything important that took place and apologize if we missed anything. We hope you find the new information worthwhile. Enjoy! We are proud to add five more issues to our ongoing archive of Shroud Spectrum International. Published from 1981 to 1993 by Dorothy Crispino, it was the first and only peer reviewed journal dedicated solely to the study of the Shroud. Our thanks again to Stephen E. Jones, BSTS Member living in Western Australia, who continues to do all the scanning and optical character recognition and Ian Wilson, who provides Stephen with the original issues and valuable input. Today's update includes the next five issues (# 5 through # 9), originally published in 1982 and 1983. We will continue to add more issues in each future update until the complete 42 issue collection is archived in its entirety here on this website. Since many scholars over the years have used articles from Spectrum as references in their scientific and academic papers, we have retained all the original page numbers and page layouts so the new online versions will remain consistent with the earlier printed references. Also, we have optimized all the photographs and illustrations that accompany the articles and minimized the compression of the pdf files so they are a bit larger, but the illustrations are the best quality possible. We are sure you will find these truly important journals useful in your studies of the Shroud. "Fanti's claims are based on the use of accepted scientific techniques, but those techniques have never before been applied to the dating of an archaeological sample nor established as a valid dating mechanism in their own right. For this dating technique (and Fanti's dramatic claims) to be taken seriously by the scientific community, it is essential that his research be submitted for evaluation by a qualified, scientific peer review committee and published in a credible scientific journal." The possibility to define a two-way relationship between age and a spectral property of ancient flax textiles has been investigated in the present paper employing both FT-IR and Raman analyses on selected samples dated from about 3250 B.C. to 2000 A.D.
After a first selection to eliminate polluted samples, based on visual inspection, on proper mechanical tests and on a first glance at the resulting spectra, eleven samples of the original 14 have been used for Raman analysis and eight for FT-IR analysis. For the first time, the possibility to define a correlation among spectral properties and age of flax samples, by using calibration curves, has been proved. In agreement with the kinetics theoretical model, the experimental relationships are of an exponential type, giving correlation coefficients higher than 0.9. The better results were obtained using FT-IR because Raman analysis needs to consider an additional variable due to the non negligible influence of fluorescence. Presently, the method allows to assign an uncertainty of centuries to the measured data, but future calibrations based on a greater number of samples (though it is not easy to find ancient samples adequate for the test) and coupled with ad hoc cleaning procedures could significantly improve its accuracy. 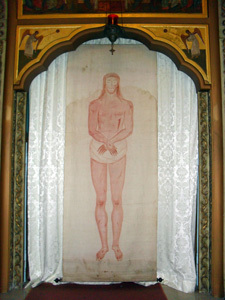 The Shroud of Turin is a well-studied linen cloth bearing the image of a naked man that has been beaten, scourged, and crucified. A lesser-known, smaller cloth exists, the Sudarium of Oviedo, which contains bloodstains corresponding to the head wounds, both front and back, found on the Shroud. The Sudarium bears no facial imprint and has been proposed to represent the face-cloth (napkin) mentioned in the gospel of John (20:6–7). Here, the markings on the Shroud of Turin and the Sudarium of Oviedo are reviewed, and the possible relationship between the two cloths and their impact on faith is discussed. This paper can also be accessed via the Website Library and Religion & Philosophy pages of this site. 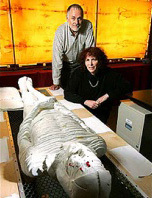 Criteria of historical assessment are applied to the Turin Shroud to determine which hypothesis relating to the image formation process is the most likely. To implement this, a ‘Minimal Facts’ approach is followed that takes into account only physicochemical and historical data receiving the widest consensus among contemporary scientists. 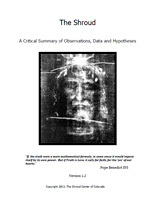 The result indicates that the probability of the Shroud of Turin being the real shroud of Jesus of Nazareth is very high; historians and natural theologians should therefore pay it increased attention. The only purpose of TSC’s Critical Summary is to provide a synthesis of the TSC team’s thinking and understanding about the Shroud. Our evaluation of scientific, medical forensic and historical hypotheses presented here is based on TSC’s internal research, STURP data, studies by other groups or persons as appropriate, and published literature. It is the argument of this paper that the Shroud of Turin was contaminated by water which could be, and most probably was, groundwater, floodwater or bacterially compromised holy water. Coloured dissolved organic matter (CDOM) commonly found in contaminated water sources and the consequences of the introduction of the dissolved matter, could affect the carbon-14 dating. This article was originally written in 2003 and was made available only to the online Shroud Science Group. Ray Rogers had pointed out in a posting to the group that this image is another important piece of scientific evidence supporting the belief that the area sampled for the C14 dating in 1988 was anomalous. I wrote the article with the assistance of Jean Lorre, original STURP imaging team member from the Jet Propulsion Laboratory, who had performed the image processing. As the topic of the article is quite important to ongoing Shroud studies, I have decided to update it and make it available to the general public. The only revisions I made were those relevant to the untimely passing of Jean Lorre. This YouTube video clip has been removed by the user. I think I should first remind everyone that this is a television program we are talking about and not a scientific paper or journal article. As I have said countless times before in articles and editorials, a television documentary is not the best place to obtain accurate Shroud information. Documentaries must first be entertaining or networks will reject them. Many directors on many documentary shoots have said to me, "Let's not get too technical!" You also have to remember that many hours of footage were made during the course of the production before it was edited into the 44 minute program you now see. Getting the full story (and getting it right) in an entertaining 44 minutes is not an easy task, and the resulting program will not only reflect these legitimate time restraints but also any biases (or lack of understanding) on the part of the producers, writers, director and editor. They are neither scientists nor sindonologists themselves nor do they have a vested interest in the Shroud. They spend the time to do their research, write a script, produce a professional quality program and then move on. By their nature, documentaries can only, at best, give us a tiny glimpse into what is truly a complex topic. You try to explain the Shroud to someone in less than an hour! This article will give you a behind-the-scenes look at the events that took place over the two days in which I participated in the taping of the program and my personal assessment of the results and conclusions that were reached. In March of 2012 I received an e-mail from a representative of Blink Films in London who explained they were developing a new Shroud documentary for the Smithsonian Channel here in the U.S. and for the Discovery Channel and BBC Worldwide. He stated that he wrote to me because "two recent studies (one discovering new writing and another supposing the outline of a Roman nail in the image) both used photographs that were provided by you." That was my first clue that we might be discussing the work of Barbara Frale. After several long distance phone conversations, and because they stated they would be taking a strictly scientific view of the Shroud (perhaps allowing us to get a little "too technical" for a change), I responded that I would be interested in participating. In May 2012 I was contacted by the associate producer of the program. He explained that they would like me to come to England and take part in the evaluation of the Maillard reaction theory in an experiment they had designed at a forensic anthropology laboratory using porcine specimens (pigs). He never gave me any details or asked for any input in the design of the experiment, nor did he mention the participation of Luigi Garlaschelli or Nicholas Allen or Barbara Frale. Frankly, that is quite typical of most production companies, who keep the details of their programs close to their vest, even from the participants. That's probably even more the case when the participants are expressing opposing points of view on a controversial topic like the Shroud. So I agreed to take part and arrived in London at 6:55am on July 12, 2012 (just a week before the start of the Summer Olympics). [Editor's Note: Read the rest of this article, including a review and evaluation of the program's conclusions, at this link: Behind the Scenes of a New Smithsonian Channel Shroud Documentary. The article continues on page 2]. Shroud of Turin Exhibition in the U.K. Since our last major update in January, we have accumulated a very large number of new links to important or relevant Shroud information. Although it is impossible for us to list every possible link, we are including a selection of them here (in alphabetical order), along with a brief description of each. As always, they can also be found on our Links To More Information page. Amazing Bible.org - A mega-site of Bible, Christian & religious information, studies, and commentaries. Associates for Biblical Research - This site was brought to my attention by John Long, who attended one of my lectures in Baltimore, Maryland recently, and has been writing a series of articles about the Shroud of Turin's earlier history that have been published on the site. 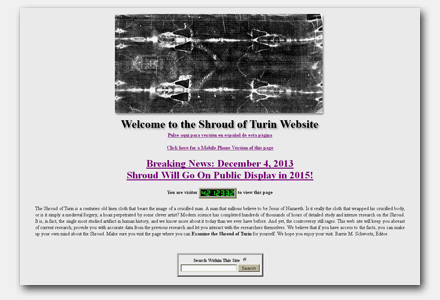 This link is to the results page I got when I searched their site for "Shroud of Turin." Confraternity of the Holy Face of Jesus Lay Society - This is the website of a non-profit organization in central California founded by Camille Banche that provides a Shroud of Turin Prayer Room to local visitors, offers custom silver medallions of the Shroud face and much more. (Site no longer available). Experiments About the Generation of the Image on the Shroud of Turin (since 2005) - This is a new web page from the ENEA Excimer Laser Laboratory in Frascati, Italy, devoted exclusively to their Shroud-related works over the past eight years. It includes direct links to all of their papers, a short movie and some recent photos of their experiments. La Sindone en Canarius (The Shroud in the Canaries) En Español - This is the Spanish language website of Andrés Brito, the representative of the Centro Español de Sindonologia in the Canary Islands and author of one of the excellent papers presented at 2012's Valencia Conference in Spain. Polish Language Translation of the Message From Your Host page of Shroud.com - Over the past few years I have lectured extensively in Poland and a growing number of Polish website visitors are joining us. My sincere thanks to Nick Stasov for graciously providing the translation of this important page for us. It is now also a permanent link on the Main Menu. 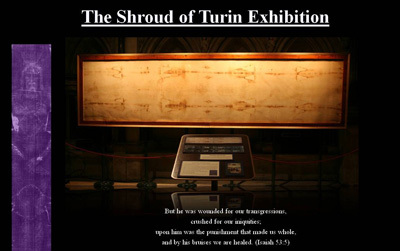 Shroud of Turin Exhibition in the U.K. - This is the website of the beautiful Shroud of Turin Exhibition produced by Pamela Moon in England. The exhibit is mobile and has been shown in a number of important venues over the past few years. See their website if you are interested in hosting the exhibition in its entirety or in part at your venue. Test the Shroud.com - This is a new web page from Mark Antonacci and his Resurrection of the Shroud Foundation on which he has created a petition to the Pope, asking him to allow further scientific testing of the Shroud. Thomson Reuters Journal Citation Report (JCR) - The quality of peer reviewed journals themselves has been a serious topic of heated debate on the Shroud Science Group and Shroud blogs in recent months. This link is to the Thompson Reuters JCR, which provides critical evaluations of such journals. As stated on their website: "Journal Citation Reports® offers a systematic, objective means to critically evaluate the world's leading journals, with quantifiable, statistical information based on citation data. By compiling articles' cited references, JCR Web helps to measure research influence and impact at the journal and category levels, and shows the relationship between citing and cited journals." Understanding Art; Misunderstanding Premodern Man; A Review of "The Sign by Thomas De Wesselow - This in depth review of De Wesselow's book by Danusha Goska appears on her blog page and includes a "thoughtful reply" by De Wesselow himself. The much anticipated and long awaited controversial documentary, The Night of the Shroud, directed by Francesca Sarracino, has taken a step closer to broader worldwide distribution. The program was broadcast in Italy on Sunday, May 26, 2013 at 9 am on Mediaset's Retequattro (Channel 4) and was watched by more than one million viewers. According to Francesca, "The program was a great success and everyone is talking about it!" In fact, Francesca sent us a link to an article titled TV: Notte della Sindone (TV: Night of the Shroud) written by Marco Tosatti for "LA STAMPA," a major Italian newspaper. The documentary has already been translated and dubbed into English and we are hoping that a distributor will soon be making it broadly available on DVD. If you are not familiar with the program, it takes us behind the scenes of the controversial 1988 radiocarbon dating of the Shroud, uncovers and reveals many previously unknown facts and reaches some startling conclusions. We'll keep you posted. The official Feast of the Holy Shroud occurs on May 4th every year. Although not celebrated widely in the U.S., it is a very important date in parts of Europe. Included in this update are two reports on events that occurred surrounding the feast in Fátima, Portugal and Turin, Italy. The first article was written by Dr. Paulo Falcão Tavares and provides a detailed description of the events that took place in Fátima. It was sent to us by my good friend Carlos Evaristo and is titled, Feast of the Holy Shroud Solemnly Celebrated in Fátima, Portugal. Dr. Tavares is the Delegate and President of the Dynastic Orders of the Royal House of Savoy and Spokesperson for the Oureana Foundation. Carlos was kind enough to send us several photographs of the event, which I have included in the article itself. The second article (online in Italian), was written by Domenico Agasso Jr. and is titled Un mese dedicato alla Sindone (A Month Dedicated to the Shroud), and comes from the Vatican Insider website on May 4, 2013. 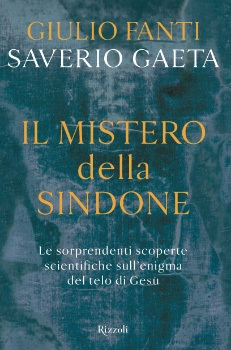 Since it was only available in Italian, I am also including a fairly decent online English translation at this link: A Month Dedicated to the Shroud. I have also included links to all of these articles on the Religion & Philosophy page of the site. 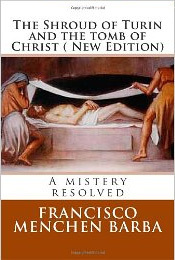 This is a new book by Francisco Menchen titled The Shroud of Turin and the Tomb of Christ (New Edition) A Mystery Resolved. I learned of this book when the author posted a link to it on STERA, Inc.'s Facebook page. Here is a short description of the book from its listing on Amazon.com: "After discovering the true site of the Tomb of Christ in the Holy Sepulcher Church in Jerusalem, F. Menchen studies the Shroud of Turin in relation to the site of the resurrection of Jesus. He finds evidence that the Shroud was in the tomb of Jesus in Jerusalem in the 1st century." 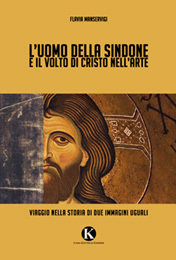 In February of this year I was contacted by Flavia Manservigi, an Archaeologist, Paleographist and Ph.D. candidate at the University of Bologna, and author of a book/thesis titled L'Uomo della Sindone e il volto di Cristo nell'arte. Viaggio nella storia di due immagini uguali (in Italian) or The Man of the Shroud and the face of Christ in art. Journey into the story of two identical images (in English). Flavia was kind enough to make available the in-depth abstract of her book in both languages at the above links. (Information on purchasing copies of the book can be found at the end of the abstract). 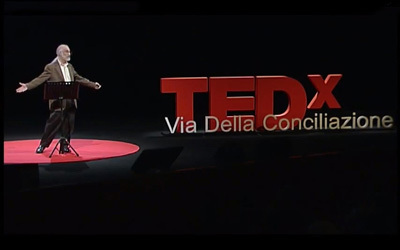 Since 2010 she has been a member of the delegation of Emilia Romagna of the International Centre of Sindonology of Turin. Our good friend Simon Brown in the United Kingdom has co-authored a new book with Caspar McCloud titled, The Shroud of Turin Speaks For Itself, Evidence Proving the Authenticity of the Shroud. Here is a brief description from the book's listing on Amazon.com: "Archeological find of the real Tomb of Jesus and confirming the authenticity of the Shroud of Turin. Come along on an adventure as you follow Simon through his research, to see that Jesus in fact has left us proof to hold and see. Many need proof, well, here it is." Author T.C. 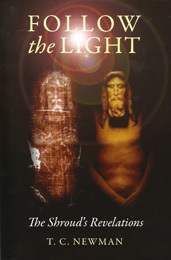 Newman recently published a new book titled, Follow The Light - The Shroud's Revelations. 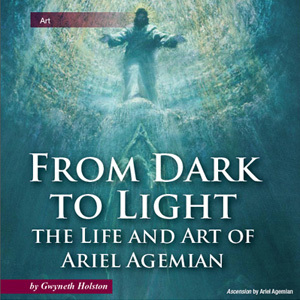 Here is a brief description from the book's listing on Amazon.com: "Follow the Light, is based on over thirty years of artistic study, and perseverance, and reveals more scientific truth, than all the other theories and analyses to date... It details the project as the author, along with her eight-year old daughter, explore a fascinating journey, while developing a process of decoding the three-dimensional information within the image, resulting in sculptures demonstrating some startling conclusions." 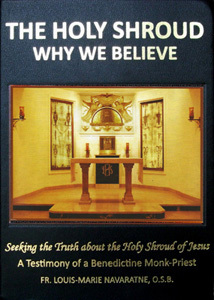 The full title of this book (in English) is Essence of Truth: A Jewish Man Investigates the Shroud of Turin, although it is only currently available in the Polish language edition pictured above. 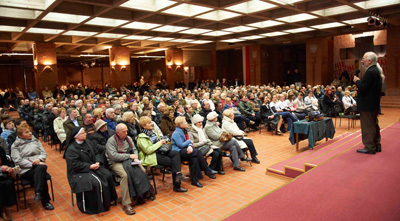 When I was lecturing in Poland two years ago, noted Polish journalist and author, Grzegorz Gorny traveled with me and conducted an in depth interview that ended with around ten hours of audio recordings. This hardbound book is based on those interviews, is profusely illustrated with more than 100 color photographs and will be available in an English language edition in the near future. All these books are also listed on the Shroud Booklist page of this site. "Since I came across your website on the Shroud of Turin in 1999, I have been revisiting it from time to time with increasing interest. Now I can say with no doubt at all that it has changed my life, and in a positive way. "From that time onwards, I have been thinking how I could contribute to your website and, in that way, give back all the good it did for me. That is the reason why I am writing this letter to you because I would like to offer you my experience in translating scientific papers, since I have been translating different types of documents for the past twenty years, mainly related to legal and technical issues... The only thing I want to state clearly is that your website has done a lot of good to me, and the only way I think my contribution could be useful is this one." Autopsia sobre el Hombre de la Sábana Santa, a Spanish language translation of Autopsy on the Man of the Shroud by Dr. Robert Bucklin, 1997. Flores Prensadas: ¿Dónde tuvo su origen la Sábana Santa de Turín? Una Investigación Botánica, a Spanish language translation of Pressed Flowers: Where Did the Shroud of Turin Originate? A Botanical Quest by Avinoam Danin, 1997. Los Discípulos en el Camino hacia Turín, a Spanish language translation of The Disciples on the Road to Turin, by Joseph Marino, 1996. (Quoted from the Catholic News Agency - May 29, 2013 - see link for full story) - "Experts from around the world gathered in Mexico for a conference on the Holy Shroud of Turin in light of the latest studies indicating that the linen bears the characteristics of Jesus’ burial cloth. The conference, entitled “The Holy Shroud and the Year of Faith,” took place May 24-25 in Mexico City as the Mexican Center for the Study of the Shroud marked its 30th anniversary. 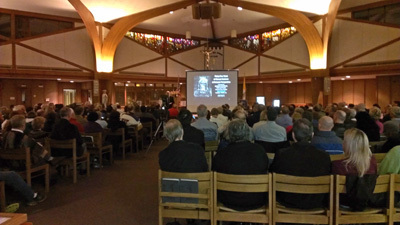 "Speakers at the event included Dr. Bruno Barberis, director of the Shroud of Turin Musuem; Father Eduardo Chavez Sanchez, postulator of the cause of canonization of St. Juan Diego; Dr. John Jackson, director of the Center for the Study of the Shroud in Colorado Springs; and Dr. Rafael de la Piedra, a lay consecrated member of the Sodalitium Christianae Vitae and the director of the Center for Catholic Studies of Lima." A few months ago I told you that I will be going out to Malta and whilst there try to get some information about a copy of the Shroud that is in the Rabat museum. I did manage to contact the curator Monsignor John Azzopardi and besides granting me access, he also gave me full permission to photograph the copy and pass on to Shroud.com/STERA, Inc. the material I had been given. So please feel free to use anything that I’m sending and which you may find useful. I had been quite excited when Mgr. John called me back and gave me an appointment to meet him and view the copy. However all that was deflated in a few seconds when I saw the copy. It is in a very bad state and in urgent need of repair and restoration. The image is hardly visible and the cloth is torn in places. He explained how for many years the copy had been kept exposed to sunlight and positioned underneath a window that leaked whenever it rained! In fact, there’s a good description of where it was kept in the document I’m attaching [I copied the document word-for-word from a leaflet given to me by Mgr John and this too, with his full blessing, can be shared on the website if you wish to do so]. (Editor's Note: This leaflet is obviously somewhat out of date but still contains valuable information so I have included it in an article titled, The Shroud of Turin and the Shroud of Rabat, Malta by Br. Michael Buttigieg F.S.C., to which I have added a number of Patrick's photographs). 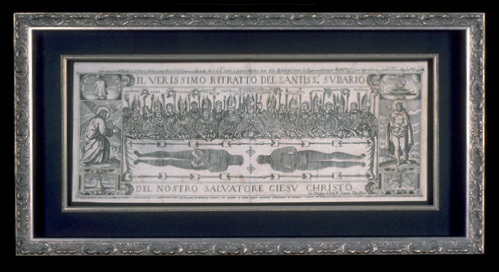 The significance of this reproduction is in the fact that the copy was touched with the Shroud of Turin as stated in an authenticated document dated 15th May 1663 and “signed by Archbishop Michele Beyamus and countersigned by Neromi, probably Notary of the Archdiocese of Turin”. The museum is now trying to raise funds in order to carry out the necessary repairs on the cloth and image. I should be going back to see Mgr. John sometime soon in the hope that I can get a closer look at the shroud copy. I do hope that you find the material I’m sending you interesting and maybe to others too. In addition to the article and photographs, Patrick was also kind enough to make a video of the Shroud copy in the Reliquary Room of the Rabat Museum, which he forwarded to us as well. You can view it yourself at this link: Shroud of Rabat, Malta Video Clip - (©2013 Patrick Mulholland). Our sincerest thanks to Patrick and Monsignor John Azzopardi for making all of this material available to us. In early April I received an e-mail from my friend Bruno Barberis, President of the Centro Internazionale di Sindonologia in Turin, letting me know about a congress that would take place on April 17, 2013 in Rome at the Pontificia Università Lateranense. Sadly, I was actually flying to Italy on that date and could not attend. The theme of the event was Shroud and Faith, A Possible Dialogue? and was designed create a deeper interest in the Shroud in light of the TV exposition held on March 30, 2013, Holy Saturday. Bruno included a pdf of the poster for the event (in Italian), which you can see for yourself by clicking on the above image link. The poster includes the names of each speaker along with their topics. I will post more information about the event as it becomes available. I recently received an e-mail from our friend Peter Soons with details about the opening of a new Shroud exhibit in Panama that he and his wife Dalys Soons had been working on for nearly two years. He also included a nice selection of photographs, so I took his e-mail and converted it into a fully illustrated article in pdf format titled, The Inauguration of the Exposition of the Shroud of Turin in Panama. Our thanks to Peter and Dalys for sharing this information with us. On Sunday, March 3, 2013, we had the inauguration of the exposition of the Shroud of Turin here in Panama. Dalys and I have been working on this project since September 2011 and it has been realized finally. The location is a brand new chapel that was donated to the Catholic Church by Sr. Aleman, the owner of the biggest shopping mall here in Panama and dedicated to Pope John Paul II in memory of his visit 30 years ago to Panama and is located in front of this mall. We got permission to use the chapel for a year to house the exposition of the Shroud of Turin and after that year the exhibit will be put up as a permanent exposition in another location. [Editor's Note: The article continues at the above link]. My travel schedule this year began in earnest on March 1, 2013, when I arrived in Washington state to start a somewhat ambitious seven city lecture tour. Organized by John Sickelton, a long time friend and supporter of Shroud.com, and sponsored by several councils of the Washington Knights of Columbus, I started in Monroe, and then traveled to Bremerton, Vancouver, Everett, Seattle, Bellingham and Lynden, and all in just six days! An excellent article about my visit was written by Jean Parietti titled, Shroud of Turin Researcher, Educator to Speak, and published in The Progress, the Archdiocese of Seattle newspaper and website a week before I arrived. 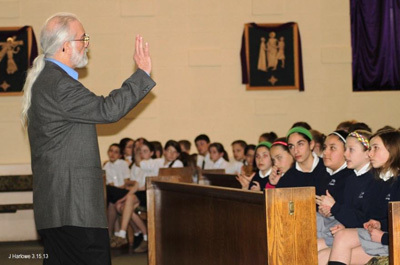 The tour was a great success and enjoyed full auditoriums in every city, including the St. Luke School, a grade school where I spoke to kindergarteners through 8th graders (the youngest audience I ever spoke to). Read the accompanying article (see link below) for a more in-depth story. I returned home the evening of March 8, 2013 and was back on a plane to Baltimore, Maryland on March 14th. Thankfully, this was a much shorter trip and was organized by Julian Bauer, another long time Shroud.com viewer and supporter, and sponsored by the Catholic War Veterans Charles Carroll Post 1961. On March 15th I gave an afternoon lecture for children and an evening lecture for adults at the Church of the Resurrection in Ellicott City. I returned home to Colorado on March 16th and dedicated the rest of the month to writing the new lectures I would teach in Rome in April, finishing my TEDx presentation and updating the website with the breaking news of the television exposition of the Shroud, the new Shroud app and a controversial new Shroud book. It was pretty busy! On April 9th, in the middle of a Colorado blizzard, I boarded a flight for my next lecture destination, Indiana. This tour was sponsored by the Shiloh United Methodist Church in Kokomo and its wonderful pastor, Zach Washler. Due to the weather, I missed my connecting flight to Indianapolis at O'Hare airport in Chicago and was going to have to spend the night there and miss the following day's first lecture. That forced the event's organizer, Kirk McClure, to make the three hour drive from Kokomo to Chicago that evening, pick me up and drive me back to Indiana personally. In spite of the weather issues, the Indiana trip was truly memorable, because I also got to see some dear friends from the Shroud world, including Richard Orareo, Professor Dan Scavone and his wife Carolyn, Shroud scholars Mark Borkan, Dr. Joe Bergeron and Dr. Chuck Dietzen (who sponsored my first trip to Indiana in 2011). It also gave me the opportunity to visit Richard Orareo's new National Shrine of the Holy Shroud in Wabash. I also got to finally meet Alex Fiato of Ft. Wayne, an ardent supporter of the Shroud that I had spoken with many times by phone, but never met in person. I am also including a link to an excellent article by Kevin Kilbane that appeared on April 15th in the Ft. Wayne News-Sentinel. (Link no longer available). For the in-depth story on all of these tours and some photographs of the events (and to learn why I call it the Indiana Connection), see the article titled, Washington State, Baltimore, Maryland and the Indiana Connection. "...with 40 years of criminal justice service, Paul is also a graduate of the Illinois State Police Academy and the Northwestern University Traffic Institute. The physical evidence value of the Shroud together with the intensive analysis of so many scientists sparked Paul's State Trooper intuition that there was a "case" to be made for those who doubt the resurrection. There is physical evidence and there are credible witnesses and documentary evidence as well. So Paul, a licensed private investigator since 1978, did just that, i.e., made a case." The page also contains another 26 speakers available for Shroud lectures or presentations in different parts of the U.S. and around the world. It is just over a year since we joined Facebook and the STERA, Inc. Facebook Page first went online. I must admit that I was somewhat dubious in the beginning, but it didn't take long to realize this was another useful tool for keeping in touch with our readers. I found that it was fast and easy for me to post a short note or link to the page, even while I was traveling and lecturing, allowing me to inform you promptly of important or breaking news. It was a lot faster than sending a mass e-mail to our subscribers or updating the web pages themselves. So if you haven't visited our Facebook page yet, click on the above link and take a look. You might want to check it from time to time as I try and post something every week. 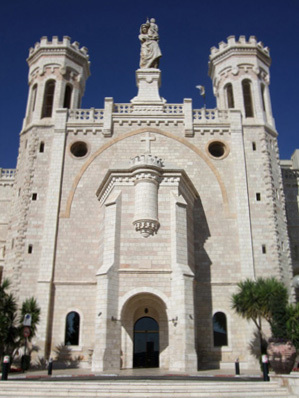 As I reported in our last update, a conference titled, "Third Encounter of the Two Linens," sponsored by the Pontifical University in Rome, was originally scheduled to be held at the Notre Dame of Jerusalem Center in Israel from November 25 to December 1, 2012. However, due to the political situation at the time, the conference was postponed and has now been rescheduled to take place on June 26 through July 2, 2013. The conference deals specifically with the Shroud of Turin and the Tilma Cloak of Tepeyac (aka Our Lady of Guadalupe). You can read the stated objectives of the event at this link. With many invited speakers from around the world, the Encounter will consist of presentations by experts and round table discussions. As far as I know, the speakers remain the same. Among those invited are Prof. Adolfo Orozco and Dr. Jose Aste Tonsmann from Mexico, Prof. Bruno Barberis, Piero Savarino, Paolo Di Lazzaro, Fr. Hector Guerra and Fr. Gianfranco Berbenni from Italy, Dr. Alfonso Sanchez Hermosilla from Spain, Dr. John and Rebecca Jackson and Barrie Schwortz from the USA and Dr. Petrus Soons from Panama. I always save this item for last, as I never know exactly what to say about the next update until this update is actually completed. After working on this one for more than a month, it is difficult to know exactly when the next one will go online. It really depends on what new materials become available in the next few months, but I expect it will come at the end of the summer or beginning of fall. I already know it will include the next issue of the BSTS Newsletter and more issues of Shroud Spectrum International. So check back here from time to time or visit our Facebook page for the latest news. Of course, if there is any breaking news we will definitely let you know. See you later in the year! In case you missed the live streaming television exposition of the Shroud today, here is a short (9:29) YouTube video clip showing some of the highlights of the event. Just click the arrow above to play the video. If you prefer, you can now watch a replay of the entire 90 minute program at this link. You can also see several video clips (in Italian) featuring the opening statement of Pope Francis. Here are the links: The Face of Faith (1:37), Exposition of the Shroud on TV (2:46) and Pope: The Face of the Shroud as Victims of War (3:26). Even if it takes place in this way, we do not merely â€œlookâ€�, but rather we venerate by a prayerful gaze. I would go further: we are in fact looked upon upon ourselves. This face has eyes that are closed, it is the face of one who is dead, and yet mysteriously he is watching us, and in silence he speaks to us. This disfigured face resembles all those faces of men and women marred by a life which does not respect their dignity, by war and violence which afflict the weakest… And yet, at the same time, the face in tthe Shroud conveys a great peace; this tortured body expresses a sovereign majesty. It is as if it let a restrained but powerful energy within it shine through, as if to say: have faith, do not lose hope; the power of the love of God, the power of the Risen One overcomes all things. I am always thrilled to see positive news about the Shroud in the popular media, rather than the negative, skeptical attacks that happen so frequently, and particularly at this time of year. Yet the past few days have been filled with positive stories! Not only is the Shroud to be publicly exhibited on television this coming Saturday, March 30, 2013, but the event will be introduced by Pope Francis himself. You can find details on the exhibition in the articles we first posted on February 27, 2013, below. "A mystery of the cross and light," that unexplained and irreproducible body image imprinted on the cloth is testimony to the passion and death of Jesus, but also of his resurrection. The words spoken by Pope Benedict XVI returned to the Shroud whole truth that scientific research had tried to resize. In 1988, in fact, with the C14 dating, scientists determined that the Shroud taxes date back to the Middle Ages. Today, thanks to a multidisciplinary work promoted by the University of Padua and lasting fifteen years, the team led by Giulio Fanti shows that the radiocarbon dating has been distorted by environmental contamination, and goes right back to the early death of Jesus that traces of dust, pollen and spores from the Middle East to direct, that the body has been depicted on the linen, violence told in the Gospels of the Passion, and the image was produced by the exceptional radiation developed at the time of the resurrection. This book, co-written by Fanti and Saverio Gaeta, is the exciting account of a discovery and the story of the extraordinary historical events of the most precious and revered relic of Christianity. "Final results show that the Shroud fibres examined produced the following dates, all of which are 95% certain and centuries away from the medieval dating obtained with Carbon-14 testing in 1988: the dates given to the Shroud after FT-IR testing, is 300 BC ±400, 200 BC ±500 after Raman testing and 400 AD ±400 after multi-parametric mechanical testing. The average of all three dates is 33 BC ±250 years. "The tests were carried out using tiny fibres of material extracted from the Shroud by micro-analyst Giovanni Riggi di Numana who passed away in 2008 but had participated in the1988 research project and gave the material to Fanti through the cultural institute Fondazione 3M." "Yesterday, a note from the Turin International Centre for Sindonology and the Archbishop of Turin, Mgr. Cesare Nosiglia, put stakes in the work of Fanti. No serious' 'value'' of the results can be attributed to any of the research on the Shroud reported in the book, said the Papal Custodian of the Shroud of Turin, Archbishop Cesare Nosiglia. ''Since there is no degree of safety on the authenticity of the materials on which these experiments were carried out to the Shroud cloth - reads a note of Monsignor Nosiglia - the owners and custodians cannot recognize any serious value to the results of these alleged experiments.''" "In short, there were samples taken of Shroud material in both 1978 and in 1988. In both cases, they were approved by the Custodian of the Shroud, Archbishop (later Cardinal) Anastasio Ballestrero, with the consent of the owner, Umberto II of Savoy in 1978, and Pope John Paul II in 1988. Involved with the Shroud for a long time, prof. Fanti received some fibers taken from the Shroud in 1978 by prof. Ray Rogers, one of the American scientists of the STURP team. "But in 1988, Giovanni Riggi di Numana, the expert who cut the Shroud samples for examination by C14, and with the agreement of Cardinal Ballestrero, kept some of the fibers of the Shroud and collected fragments of aspirated blood and dust samples in between the linen and the Holland cloth. The conditional is a must, as no record was drawn up of the levy for the C14, let alone a semi-official collection like that. But it is very likely that after the death of Riggi, in 2008, a part of the material held by a dedicated foundation has come to Fanti. After the death of Ballestrero, card. Saldarini issued a statement, asking that any Shroud materials be returned. But it seems that no one has complied with the request. "All of this to conclude: prof. Fanti's research was carried out on the Shroud and of course the material was authentic, even if it was outside the control of the International Centre of Sindonology. And besides, 25 years after the C14 examination, whose own credibility Fanti's work further crumbles, perhaps one might begin to assume that a continuation should be considered of the research program created by STURP, the Shroud of Turin Research Project, an international group of scientists who produced a wealth of incredible scientific results after testing the Shroud in 1978. So the biggest issue so far seems to be the validity of Fanti's samples and I guess we will all have to wait and see how this plays out. Remember that even if the samples are absolutely authentic, if they were not formally authorized for such testing, the results will never be recognized by the authorities. However, there is still the other issue (which I alluded to above) that must be considered. Fanti's claims are based on the use of accepted scientific techniques, but those techniques have never before been applied to the dating of an archaeological sample nor established as a valid dating mechanism in their own right. For this dating technique (and Fanti's dramatic claims) to be taken seriously by the scientific community, it is essential that his research be submitted for evaluation by a qualified, scientific peer review committee and published in a credible scientific journal. As far as I can see from the available information, that has not yet occurred. Unfortunately, it is far more typical to submit your work to a journal first, have it reviewed and ultimately published in the literature to establish its scientific validity, and then write a commercial book to explain it to the layman. Many quality journals will simply not accept papers that have been previously published in the popular media. During the STURP years (1977-1981), the team was frequently criticized for being too secretive. However, STURP had a written agreement with the Turin authorities not to release any data prematurely (before the completion of their final report and its appearance in the scientific literature). STURP also understood that many of the important journals they hoped to publish their work in would NEVER accept a paper that had first appeared in the popular media. I am thrilled that Giulio's new tests shed a positive light on the Shroud and further dispute the radiocarbon dating results, and I am very glad the news broke just before Easter, but I sincerely hope he gets the work into a credible journal soon. Otherwise, it can only be considered anecdotal at best. March 31, 2013 Editor's Note: In an e-mail today, Giulio Fanti announced that, "the paper entitled 'Non-destructive dating of ancient flax textiles by means of vibrational spectroscopy', has now been accepted with minor revision, and will be published in a scientific journal." The name of the journal and the date of publication were not announced. More links on this topic: English language article titled Turin Shroud 'is not a medieval forgery' from The Telegraph in the U.K. (quoted on the Drudge Report today) and another article about the book from the QLibri Website (in Italian) and finally, a link to where you can purchase the book online from Amazon.it. March 29, 2013 Update: This morning I received an e-mail from Enrico Simonato of the International Centre of Sindonology in Turin. They have graciously provided us with the official statements on the Fanti/Gaeta book by the Archbishop and the Centro in English, Spanish and Italian languages so that we could reprint them all here. Our thanks to Enrico and Bruno Barberis, President of the Centro, for providing us with this information. Grazie! Official Statement from the International Centre of Sindonology in English, Spanish and Italian. Official statement of the Papal Custodian of the Holy Shroud, Mons. Cesare Nosiglia in English, Spanish and Italian. Here is a link to Barrie's appearance (via Skype) on CNN International today. "In the technology era also the Holy Shroud becomes "2.0": as of Holy Friday 2013, the coming 29th of March, on the online Apple store it will be possible to download - in a double multilingual version, free and with fee - the first official App dedicated to the Holy Linen, created in conjunction with the special television Exposition which is scheduled on Rai Uno at Easter Eve." The app allows users to "...explore the Shroud in detail, through access to an exellent high definition photograph that offers features that are almost invisible to the naked eye, elements that not even the traditional Expositions have ever allowed to observe." You can get a free preview (in Italian) of the app in operation by viewing the video clip available on the OGGI.it website. ROME, March 28, 2013 (Zenit.org) - The Shroud of Turin, the linen cloth believed to be the burial shroud of Christ, has now gone mobile. 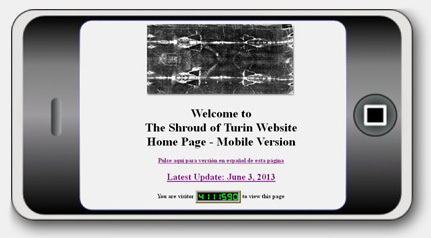 A new app available for the Apple iPad, Shroud 2.0, allows users to view the Shroud in High Definition as well as obtain information on the different aspects of the relic. In his 1988 visit to the Cathedral of Turin, where the Shroud is currently kept, Blessed Pope John Paul II reflected on the symbol God's love portrayed in the linen, describing it as "the mirror of the Gospel." "The Shroud is [...]an image of God's love as well as of human sin. It invites us to rediscover the ultimate reason for Jesus' redeeming death," the late Holy Father said. "In the incomparable suffering that it documents, the love of the One who "so loved the world that he gave his only Son" is made almost tangible and reveals its astonishing dimensions. In its presence believers can only exclaim in all truth: 'Lord, you could not love me more! ', and immediately realize that sin is responsible for that suffering: the sins of every human being." Shroud 2.0 allows user to explore details of the Shroud with access to high definition photographs that can zoom into areas that are almost invisible to the naked eye. 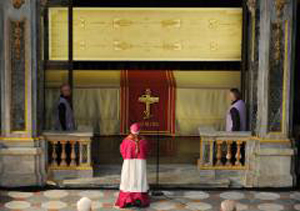 According to a communique on the application, the high definition photos of the Shroud were taken by Haltadefinizione in 2008. The same technology was used to photograph Leonardo Da Vinci's masterpiece, 'The Last Supper.' The digitization process recomposed 1649 snapshots into one single image of the shroud into one single 12 billion pixel image. The app, which will be available soon on the Android operating system, will give people the opportunity to view a "Digital Exposition of the Shroud" on their iPads. The application offers, for the first time in the Shroud's history, the most detailed image ever achieved and made available to the general public. The building, which was constructed in 1936 and is listed on the National Register of Historic Places, was built as a movie studio by Mark Honeywell, a Wabash native and founder of what is now the Honeywell corporation, Orareo said. Honeywell made movies in the 1930s as a hobby. It later served as the clubhouse for the Wabash Country Club, whose golf course adjoins the 7-acre property, and then the Studio Eleven restaurant, which went out of business, Orareo said. The four-story, Tudor-style structure features Indiana limestone on some of the exterior, grand interior oak woodwork and leaded-glass windows. March 9, 2013 Update: For more information on the unprecedented occasion of this first "technological" exhibition of the Shroud, check out the news page (in English) of the Collegamento pro Sindone website by Emanuela Marinelli. The page includes more details on Pope Benedict's decision to display the Shroud and a message from Msgr. Cesare Nosiglia, the current Archbishop of Turin. As always, our deepest thanks to Emanuela for making this information available so quickly. Grazie! Here is a link to a more recent and detailed article in the online version of the Italian publication Gazzetta del Sud (this version is in English) about the upcoming "technological exposition" of the Shroud: http://www.gazzettadelsud.it/news/37027/Pope-Emeritus-orders-TV-broadcast-of-Shroud-of-Turin.html. March 27, 2013: It was announced this morning that Pope Francis will introduce the Shroud for the television exposition. Here ia a link to an ANSA news article (in English) with the details. (Link no longer available). Watch the full interview here: Barrie Schwortz discusses the Shroud of Turin on George Noory's Beyond Belief! A new program about the Shroud with George Noory, host of the Coast to Coast AM radio program, will premiere online on Good Friday, March 29, 2013, on the Beyond Belief television program on the Gaiam TV network. 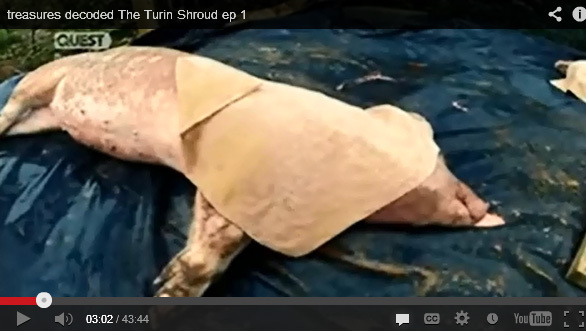 The one hour show features an interview with Barrie Schwortz and also includes a closeup examination of a lifesize Shroud replica. You can view a preview clip of the program by playing the above video. Please note that the above text link to the full interview will be activated on Friday and GaiamTV subscribers will get a first look at the interview on March 29th at 7pm EST. After the first airing this link will redirect to a landing page where the interview will be permanently available on demand. You can access and view the program free of charge by using the 10 day FREE Trial offered on the Gaiam TV website. Schwortz will also appear on the Coast to Coast AM radio program Thursday night at 10:00pm PDT. Every January for the past 16 years, I have waited to the last minute to write this introduction, and today is no exception. It is 10:15 p.m. on January 20th as I start writing this with the intention of having the update go online in less than two hours, at midnight. And every time I write this introduction to our anniversary update, it is always with the intention of saying something new and fresh, but it seems that every year I come back to the same theme: This website would not be possible without the cooperation and participation of all of the researchers, historians, scientists and scholars in the world who allow us to publish their work or have written articles specifically for us and all of our loyal viewers (around 600,000 of you last year) who visit the site regularly and read millions of our pages a year! By being there, you make our efforts truly satisfying and worthwhile. We could not do this without you so thank you all for making this possible! This is a particularly exciting update for us, in that we are premiering the first four issues of Shroud Spectrum International, arguably the most important journal in the history of Sindonology. In addition, we have completed the BSTS Newsletter archives with some important "bonus material," added four new papers and dozens of new links, updated the Valencia Congress page and included a Special Feature on The Shroud and the Chinese Bible. And that is just a partial list! We believe there is enough new material to keep you busy until our next update so let's get to it! Shroud Spectrum International On Shroud.com! As we proudly announced in our November 2012 update, Dorothy Crispino, editor and publisher of Shroud Spectrum International, the first and only peer reviewed journal dedicated solely to the study of the Shroud, recently granted STERA, Inc. permission to bring this important journal to the internet. This is only possible thanks to the extraordinary efforts of Stephen E. Jones, BSTS Member living in Western Australia, who graciously volunteered to do all the scanning and optical character recognition and Ian Wilson, who provided Stephen with the original issues and valuable input. Today's update includes the first four issues (# 1 through # 4), originally published in 1981 and 1982. We will continue to add more issues in each future update until the complete 42 issue collection is archived in its entirety here on this website. Since many scholars over the years have used articles from Spectrum as references in their scientific and academic papers, we have retained all the original page numbers and page layouts so the new online versions will remain consistent with the earlier printed references. Also, we have optimized all the photographs and illustrations that accompany the articles and minimized the compression of the pdf files so that the illustrations are the best quality possible. We are sure you will find these truly important journals useful in your studies of the Shroud. 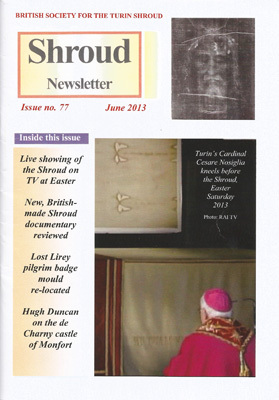 In November 2012 we updated the British Society for the Turin Shroud page and included the ten remaining issues necessary to complete the archive of every issue of the BSTS Newsletter published since 1982 (# 1 through # 75). Now, to round out the collection, we have added a series of five monographs by noted scholars (including esteemed BSTS members Noel Currer-Briggs, Lennox Manton and Dr. Michael Clift and Deirdre O'Sullivan of the School of Archaeological Studies, Leicester University), that were presented at various BSTS meetings in the 1980's and 1990's. Topics include "Byzantine Frescoes and the Turin Shroud," "The Cappadocian Frescoes and the Turin Shroud" (both with many color illustrations), "St. Bee's Man - and What 14th Century Shrouds Actually Looked Like," "The Shroud In Greece" and "The Patient In The Shroud." Consider them BSTS "Bonus Material." Today's update also includes the latest December 2012 issue (# 76) which, as always, contains a number of interesting and informative articles by Michel Bergeret, Yannick Clément, Mark Guscin, Sammeli Juntunen, Andrew Willie and Ian Wilson. And of course, we will continue to add each new issue in the future. 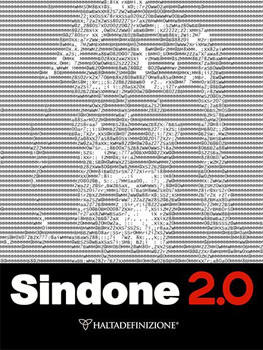 These newsletters provide a wonderful view of the history and evolution of Sindonology over the past thirty years and continue to play an important role in the Shroud world today. "Previous studies have established that the blood areas on the Shroud of Turin consist of real blood and are not composed of artistic pigments. It is commonly reported that the blood is of human origin, but just how substantial is the evidence to support this conclusion? Here, the empirical evidence for the human origin of the Turin Shroud bloodstains is evaluated.... The potential usefulness of additional testing methods, many developed since the original studies were performed approximately thirty years ago, is also discussed." In the late 1990s it was reported that human DNA existed on the Shroud of Turin, and although in a generally degraded state, certain regions were sufficiently intact to clone and sequence three genes from bloodstained fibers: human betaglobin, amelogenin X and amelogenin Y. An unknown variable in such studies is the extent of contamination by exogenous DNA, transferred to the Shroud by persons or objects that have come in contact with cloth. Indeed, the abovementioned genes are not exclusive to blood cells, but are also found within other cell types, including skin cells. 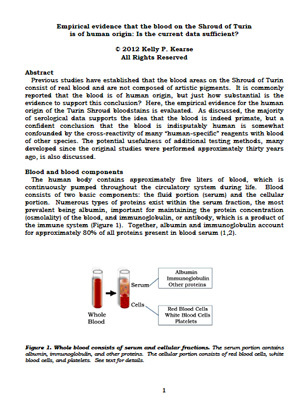 Here, a simple experimental approach is described for distinguishing endogenous versus exogenous DNA, which may help establish that DNA in the blood areas of the Shroud of Turin originated from white blood cells (lymphocytes) present on the cloth. The Shroud and the "Historical Jesus": Challenging the Disciplinary Divide by Simon Joseph, Ph.D. - This is an updated and expanded version of a paper that we originally published in August 2012. The author is an Adjunct Professor of Religion at California Lutheran University and has added additional content and references to his original article. Below is a brief quote from the paper that provides a good overview of the contents. "The Shroud of Turin is virtually ignored in “Historical Jesus” research. Why? In this paper, I will seek to provide an explanation for this curious lack of interest and examine ways in which “Historical Jesus” research and Sindonology might complement each other. Since the 1988 radiocarbon dating test, there has been a general assumption, particularly within the scientific community, that the Shroud is of medieval origin. 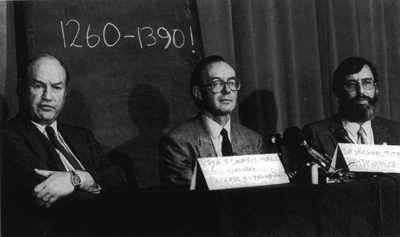 The 1988 test results have largely been regarded as “decisive proof that the Turin Shroud is a forgery.” Recent studies, however, indicate that those results are in need of reevaluation. This paper identifies a number of distinctive features of the Shroud that have yet to be explained and will correlate these features with Historical Jesus research." The Holy Shroud by Peter M. Rinaldi - The Sign, June 1934, Vol. 13, pp. 685-688 Courtesy University of Scranton Library - Special Collections - We are grateful to John Klotz, New York attorney who is currently researching and writing a new book about the Shroud, for finding this rare and important article by Fr. Rinaldi and obtaining permission for us to publish it on our website. Thanks John! We are pleased to announce that the Valencia Congress page of this site has been updated to include another of the excellent papers presented at the April 2012 event. The new paper, by CES member Andrés Brito from the Canary Islands, was one of my favorites at the congress as it discusses in detail how the media typically deals with the Shroud (the subject of several of my own editorials over the years). Andrés has a Ph.D. in Information Science and cites many specific examples in his excellent paper titled, Sharing the Shroud - Comunicar la Síndone (En Español). The Proceedings of the I International Congress on the Holy Shroud in Spain are now available. They consist of a 7 DVD package with the entire video recording of all the presentations in Spanish and English as well as their transcriptions in bilingual format. To order, you must contact the CES directly by e-mail at ces@linteum.com. On orders from abroad, buyers must make an advance deposit to the CES bank account, a deposit worth the price of the DVDs + shipping charges. For U.S.A. addresses, it would be a total amount of 48,15 € (36 € the price of the DVDs + 12,15 € shipping charge). You will also need to check the exchange rates the day you transfer the funds (which must be made in euros). You can easily do this online using the Universal Currency Converter, which will convert any world currencies into euros. If you are interested, please let the CES know by e-mail and send them your full postal address and the notification that you have made the deposit. As soon as the deposit arrives in their bank account, they will send you the package. Their current account number (for deposits from abroad) is: POPUESMM. ES76 0075 0465 4906 0033 1228. Over the past few months we accumulated a large number of links to valuable Shroud related materials that appear elsewhere on the internet. Although we cannot link to every Shroud article, website or blog, we try to make available on Shroud.com a representative sampling of the best materials currently available. To keep things more organized, we have divided the links into several categories.. Of course, we have also archived them to our Scientific Papers & Articles, Religion & Philosophy or Links To More Information pages. Happy browsing! 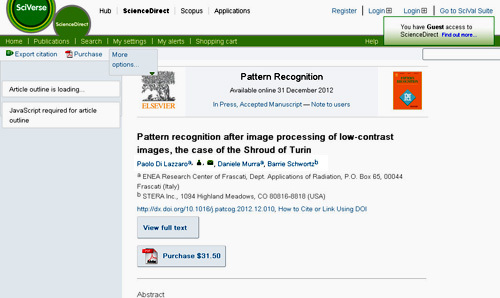 Pattern recognition after image processing of low-contrast images, the case of the Shroud of Turin by Paolo Di Lazzaro, Daniele Murra and Barrie Schwortz - Journal: Pattern Recognition, available online December 31, 2012. Editor's Note: ENEA published a very preliminary version of this paper on their website as part of their ENEA Report. However, it does not include any of the changes, corrections and additions that were required of us by the reviewers at Pattern Recognition. B.S. The TS image is not a scorch, even a light scorch. In fact, this old hypothesis is very easy to rule out definitively as the body image formation mechanism with some basic experiments and a microscope. 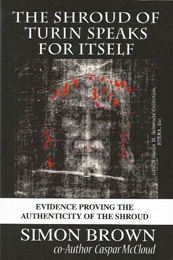 Raymond N. Rogers’ observations and conclusions concerning the body image that is visible on the Shroud of Turin by Yannick Clément - This extensively researched paper (published on Pete Schumacher's Shroudnm.com website) provides a list of the most important quotes concerning the Shroud body image taken from Raymond N. Rogers’ official publications written during the period 2002-2005. Includes complete references. 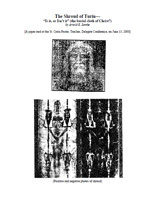 The Conservation of the Shroud of Turin: Optical Studies by Paolo Di Lazzaro, Daniele Murra, Antonino Santoni, Enrico Nichelatti - ENEA Report. Shroud-like Coloration of Linen by Nanosecond Laser Pulses in the Vacuum Ultraviolet by P. Di Lazzaro, D. Murra, E. Nichelatti, A. Santoni, G. Baldacchini - ENEA Report. A similar paper by the same authors also appeared in the peer reviewed journal Applied Optics, Vol. 51, Issue 36, pp. 8567-8578 (2012), titled Superficial and Shroud-like coloration of linen by short laser pulses in the vacuum ultraviolet. When Flesh Meets Fabric: The Shroud of Turin by Scotty Roberts – March 11, 2012 Intrepid Magazine interview with Barrie Schwortz. (Link no longer available). Fleeing World War II, Armenian massacre survivor built new life in U.S. - August 28, 2012 Post Independent (Colorado) article about artist Ariel Agemian, best known to Sindonology for his beautiful and famous painting of Jesus based on the Shroud. The article includes an interview with his daughter, Annig Raley Agemian. (Link no longer available). Era judío y no pensaba en Dios desde niño, pero la Sábana Santa le condujo a Cristo (En Español) - 17 December 2012 Spanish language article about Shroud.com from Religionenlibertad.com. Our thanks to noted Shroud scholar Rafael de la Piedra in Lima, Peru for bringing this to our attention. And speaking of Rafael, here is a link to his Spanish language blog site, Razones para creer (Reasons to Believe) (En Español). How Image Enhancement May Explain Past Events Article reprinted from NASA's Jet Propulsion Laboratory's house magazine, "JPL Universe," dated July 5, 1977. Here is an excerpt from the article: "In the "truth is stranger than fiction category" a phone call to NASA's JPL from a member of the Christ Brotherhood in New Mexico, requesting image analysis of a religious relic, has drawn two men from JPL's image processing lab into a fascinating investigation of the famous "Shroud of Turin." Shroud, A Documentary raises opposition to the C14 tests - Vatican Insider article about The Night of the Shroud documentary dated 29 October 2012 (English, translated from Italian). According to Francesca, "...Vatican Insider is one of the most important Catholic newspapers in the world, which is translated into all languages including English and Spanish." 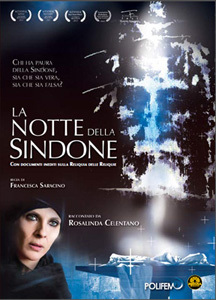 The Night of the Holy Shroud (La notte della Sindone) [ NON-USA FORMAT, PAL, Reg.2 Import - Italy ] (2012) - Amazingly, a DVD of the program is available on Amazon.com but only in Region 2 encoding (This DVD will not play on most DVD players sold in the US or Canada [Region 1]. This item requires a region specific or multi-region DVD player and compatible TV). It might be playable on some computers, depending on your drive and software. Our thanks to Michael Villarreal for finding this link! REZproject Video: Shroud of Turin - This excellent online video is hosted by 18 year old Bailey Packard, who takes us through the story of the Shroud in a very appealing and passionate manner. Bailey appears on camera and her refreshing personality and thoughtful dialogue are a far cry from the typical baritone voice overs we are used to. The result is both interesting and educational. STERA, Inc. was contacted last year by her father, Derek Packard, the producer of the program, who asked us to provide some input during the production. Note that the REZproject was co-founded by Bailey and her father. (Site and links no longer available). 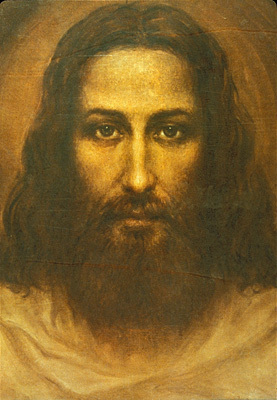 Ray Downing - Fine Art - Link to the website featuring the fine artwork of Ray Downing, producer of the highly regarded Shroud documentary The Real Face of Jesus in 2010. Razor Swift - The Shroud of Turin - Live radio program hosted by Rich Christian aired on January 9, 2013 - Includes audio of entire interview with Barrie Schwortz. 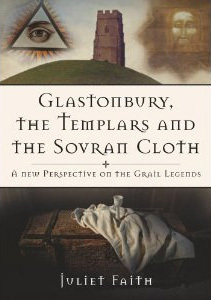 Glastonbury, the Templars and the Sovran Cloth: A New Perspective on the Grail Legends by Juliet Faith - This book sheds new light on the Grail stories and the arrival of Christianity to Somerset. It illustrates important links between Glastonbury and the Celtic settlement at Old Lammana in Cornwall and examines old tales of an object of great importance - known as 'the Sovran cloth' - secretly hidden at both places. The author reveals that Henri de Blois, Abbot of Glastonbury, assisted in the transmission of the Grail stories, and that his family line were in possession of the Shroud and first exhibited it at Lirey in France in 1356. Finally, recent examination of the Templecombe panel reveals why it is believed the Templars may have brought the Shroud to England for safekeeping in 1307. Richly illustrated and compiled using original research. Ipso Facto by Don Leichel - New Zealand author Don Leichel’s latest book examines some of the greatest mysteries in the Bible from a scientific perspective. Chapter 18 provides a summary of facts regarding the Turin Shroud's history and scientific analyses, including an explanation of the resurrection in terms of quantum theory and hints in the New Testament as to the existence of the Shroud. Available as an ebook in epub or Kindle formats. More information is available from the author's website. La corona di spine e le sue reliquie. Un viaggio tra vangeli, storia, tradizioni, leggende (The crown of thorns and its relics. A journey through the Gospels, history, traditions and legends) by Antonio Menna. The author discusses the crowning of thorns in great detail, including the evidence on the Shroud of Turin. Italian language. I am very pleased to announce that Richard Bernatchez, founder of Faith Based Communications (FBC), has been added to our Shroud Speakers Directory page. FBC was established to provide presentations/exhibits to groups of any size on subjects related to Christian Faith and is currently making presentations on the Shroud of Turin. And of course, the page contains another 25 speakers available for Shroud lectures or presentations in different parts of the U.S. and around the world. In our August 2012 update, we included a Chinese translation of a Current Anthropology Article on the Shroud of Turin which was provided to us by noted Shroud scholar and archaeologist William Meacham in Hong Kong. Bill felt this might be the only information about the Shroud available anywhere online in Chinese. Shortly afterwards, I received a phone call from Eric Chan, a devoted Shroud student who also lives in Hong Kong. He told me the story of the first Chinese bible, translated and published in 1968 by Italian priest Father Gabriele Allegra, which included an Enrie Shroud photograph on the first page! 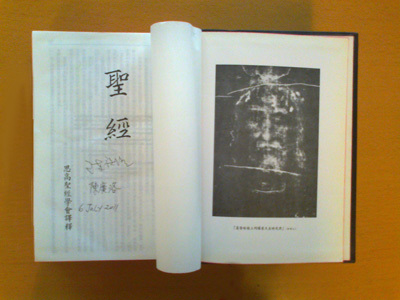 Eric, who owns one of the bibles, was kind enough to make some photographs, collect some information and put together an article titled Turin Shroud included in Catholic Chinese Bible that provides us with some background on Fr. Allegra and his work. Interestingly, he was beatified in September 2012. Eric is now in direct contact with Bill and they are currently planning some future Shroud activities together in the Hong Kong area. Our sincere thanks to Eric for making this truly fascinating information available to us. First, I want to extend a very special "thank you" to all of our friends who made contributions to STERA, Inc. last year. Your generosity, friendship and continued support are deeply appreciated. STERA, Inc. held their second annual Board of Directors meeting on December 16, 2012. Due to the holidays, the meeting was a very brief one and only a few items of business were attended to. One topic of discussion was the upcoming 17th anniversary update and the continued growth of the website, including the first issues of Shroud Spectrum International. Another topic was fundraising, and once again the board encouraged me to actively pursue it as part of my daily operations. As I've mentioned before, fundraising is probably the hardest part of this job for me. But I have an obligation to STERA, Inc. to appeal to our viewers for support. Since we have just started a new year, let me remind you that you can safely make contributions online using our Secure Contribution Form. You can also contribute by Mail or by telephone at 719-689-2217 (between the hours of 12:00 noon to midnight, M.T.). Of course, any purchases made from the Website Store page of the site also directly support STERA, Inc.
1. Appreciate their evangelizing, historical and scientific value. 2. Reflect upon the interplay between these two gifts of God to the world for the evangelization of the XXI century. 3. Determine, in the light of Shroud science, what research should be done on the tilma containing the image of Our Lady of Guadalupe. The conclusions and proposals will be presented to the Archbishop of Mexico City, Cardinal Norberto Rivera. With many invited speakers from around the world, the Encounter will consist of presentations by experts and round table discussions. Among the invited speakers are Prof. Adolfo Orozco and Dr. Jose Aste Tonsmann from Mexico, Prof. Bruno Barberis, Piero Savarino, Paolo Di Lazzaro, Fr. Hector Guerra and Fr. Gianfranco Berbenni from Italy, Dr. Alfonso Sanchez Hermosilla from Spain, Dr. John and Rebecca Jackson and Barrie Schwortz from the USA and Dr. Petrus Soons from Panama. Once again, I have a rather busy schedule of lectures starting in March. Viewers often write me asking where and when I might be giving Shroud presentations, so I thought I would publish my upcoming schedule in case I happen to be in your area. If so, please drop by and say hello. Please understand that the times and venues are still subject to change. I will do my best to update them before the events if necessary. (Note: dates below include travel days). Sunday April 14 - Shiloh United Methodist Church - Presentations by Dr. Chuck Dietzen, Dr. Joe Bergeron and Barrie with Open Discussion during Fellowship hour - 8:00 a.m. to 11:00 a.m. - Northwestern High School - Exhibit and presentations - 1:00 p.m. to 5:30 p.m.
April 19, 2013 - I am deeply honored to have been asked to speak at the TEDx ViaDellaConciliazione conference in Vatican City in April. The topic of this independently organized TED event is Religious Freedom Today and I will be speaking on the Experience of Religious Freedom in Scientific Research. It will take some real discipline however, as each speaker is only allowed 16 minutes for their presentations! Videos of the presentations will eventually be accessible online and we will publish the links as soon as they are available. April 22 through April 25, 2013 - I will again be teaching a course in the Masters of Science and Faith program at the University of Rome (Ateneo Pontificio Regina Apostolorum). This year I have prepared a new course titled, "The Post-STURP Era of Shroud Research: 1981 to the Present," which picks up where my last course ended..
June 13 through June 15, 2013 - At the kind invitation of my good friend Des Armstrong, I am happy to be returning to Southern California, speaking at a Legatus meeting on June 14, 2013 and seeing many of my old friends there. Des is founder and president of the Rancho Palos Verdes Chapter of Legatus and typically brings together several Legatus chapters for each of my lectures. This is the fourth time he has graciously invited me to speak and he has asked me back again in September (see below). July 26 through July 28, 2013 - I have been invited to speak about the Shroud at a conference in Colorado Springs being sponsored by Prophecy in the News. I have very few details at this moment but will update you once I have more information. September 10 through 12, 2013 - Again, thanks to Des Armstrong, I will be back in Southern California, this time sharing the Legatus podium with the esteemed Fr. 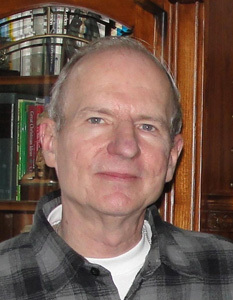 Robert J. Spitzer, a Jesuit priest, philosopher, physicist, educator, author, speaker, and retired President of Gonzaga University in Spokane, Washington. It will truly be a great honor to meet him! (Look him up)! Just in case you are interested, in calendar year 2012 Shroud.com had just under 600,000 visitors that generated 8.7 million hits, viewed 7.4 million files, viewed 1.9 million pages and generated 249 GB of bandwidth! We thank each and every one of you for your continued support and participation! It is rather difficult to determine exactly when the next update will go online as I am still in the last throes of finishing this update! However, based on my travel schedule through the spring, it will probably be May or June before the next update is completed. Of course, it will include more issues of Shroud Spectrum International, more books, papers and articles, a report on all my travels and a few interesting surprises. So thank you for being there, have a great spring and we'll see you in a few months!